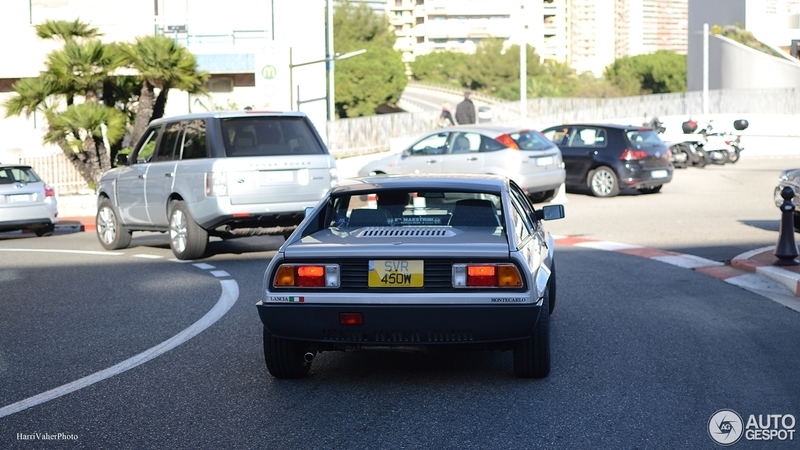 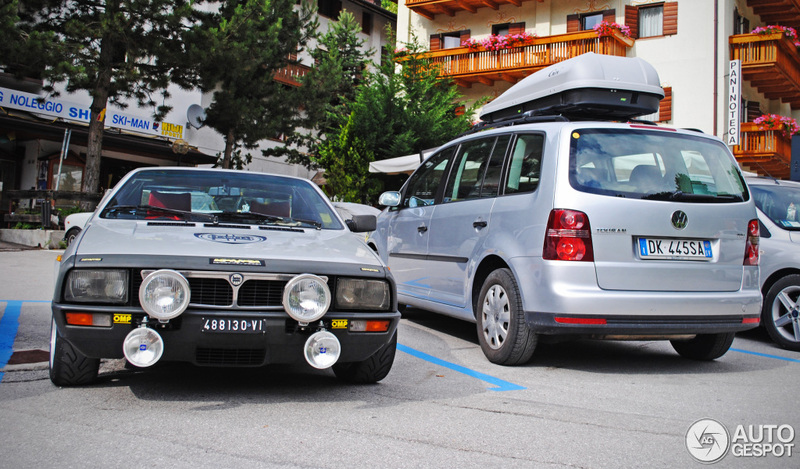 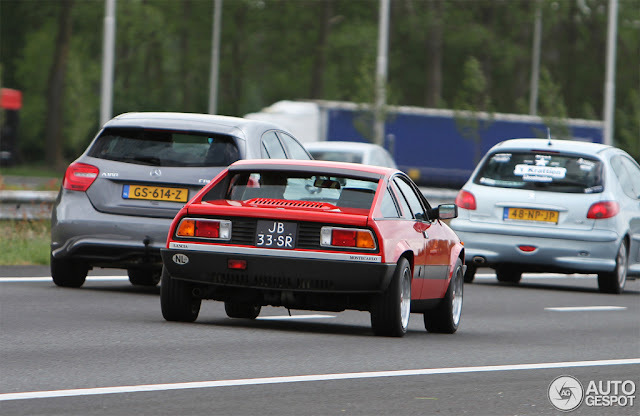 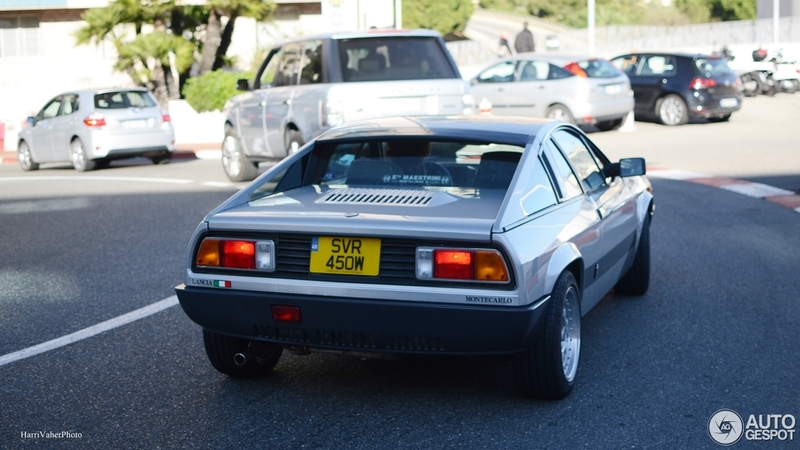 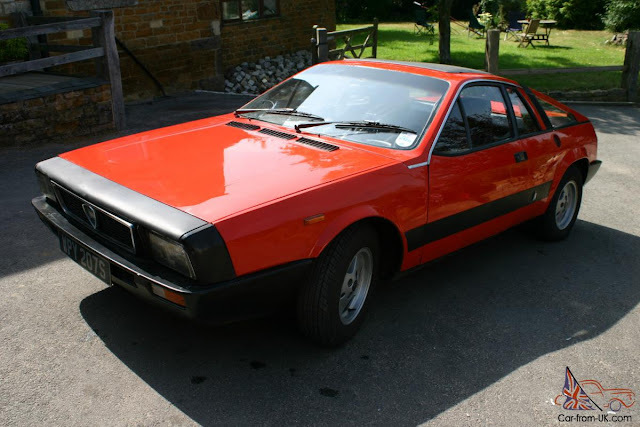 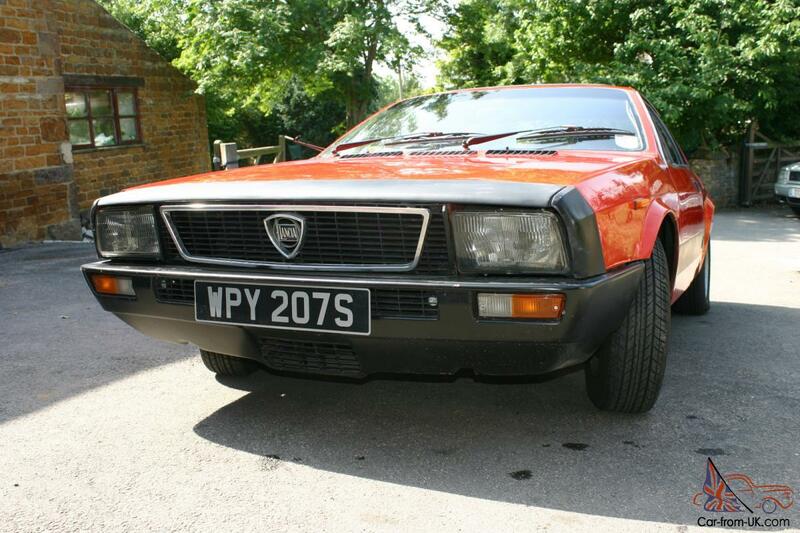 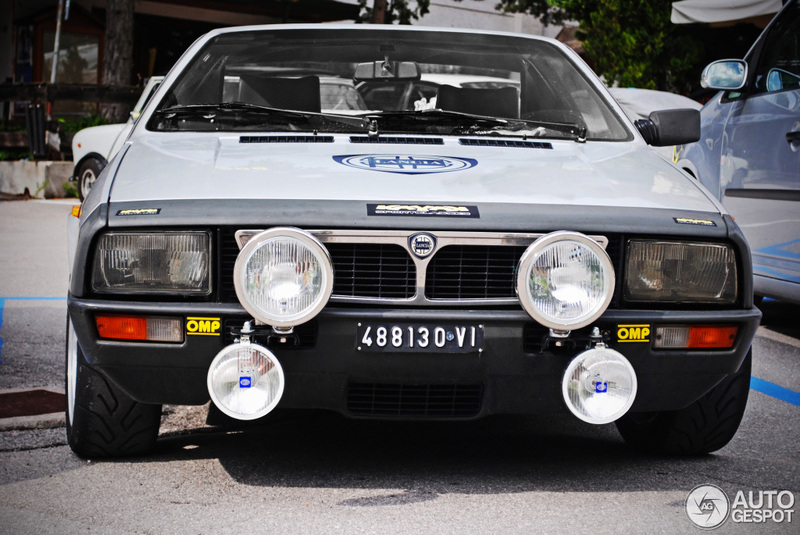 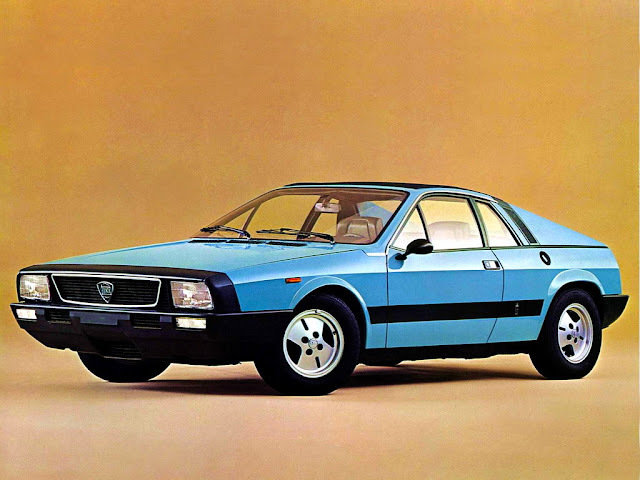 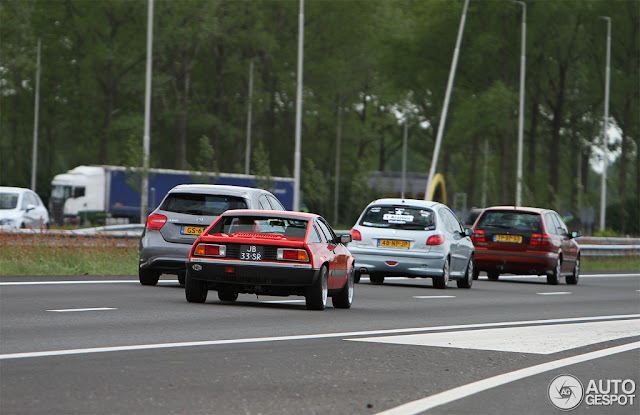 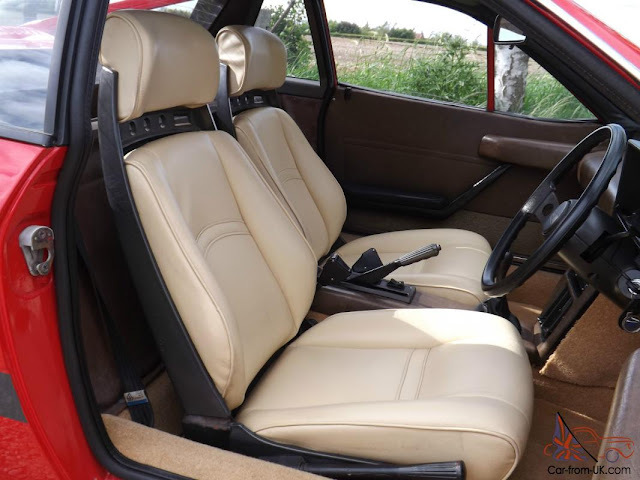 Cars from the first series, which were produced from 1975 to 1978, were known as Lancia Beta Montecarlos. 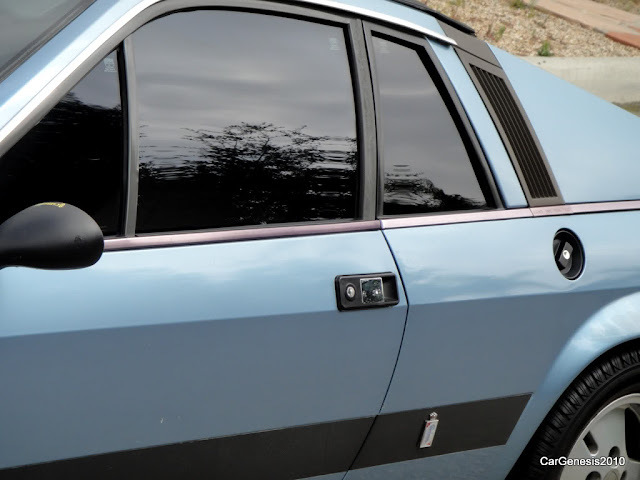 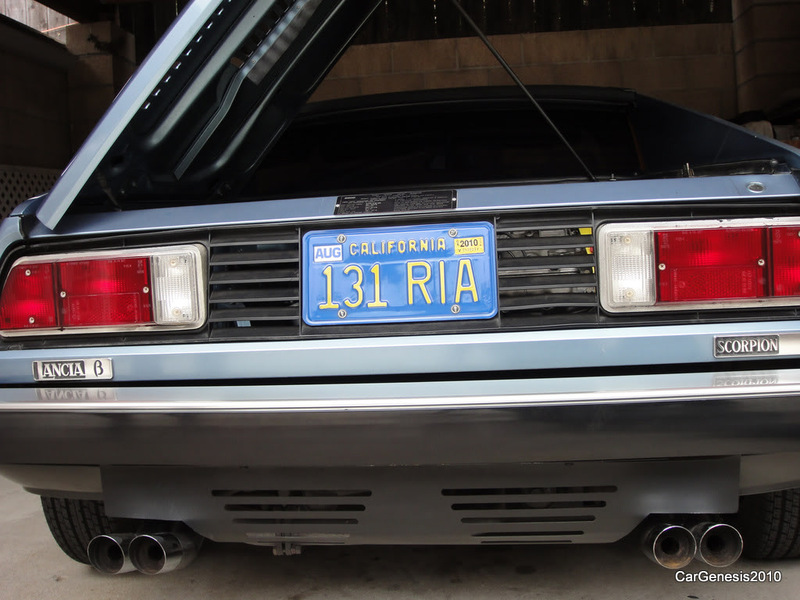 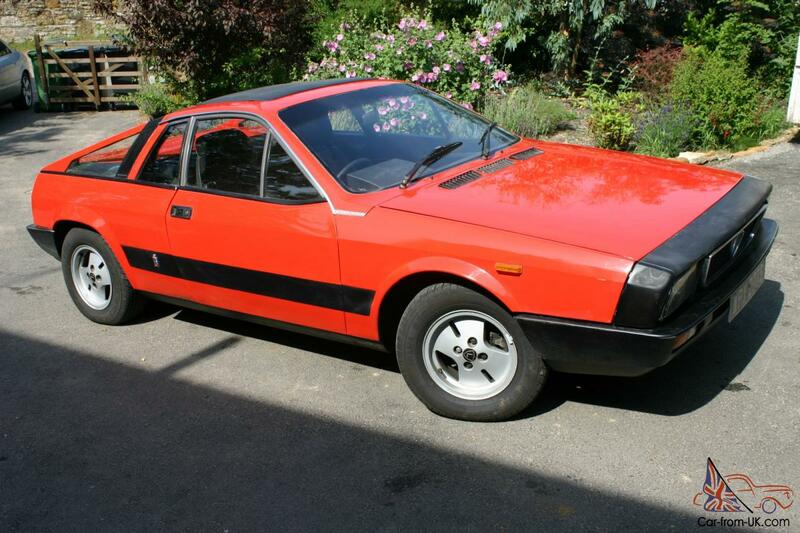 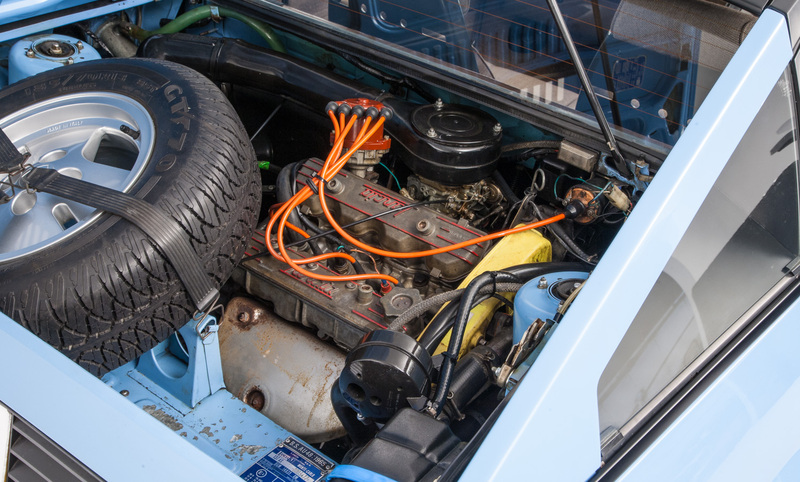 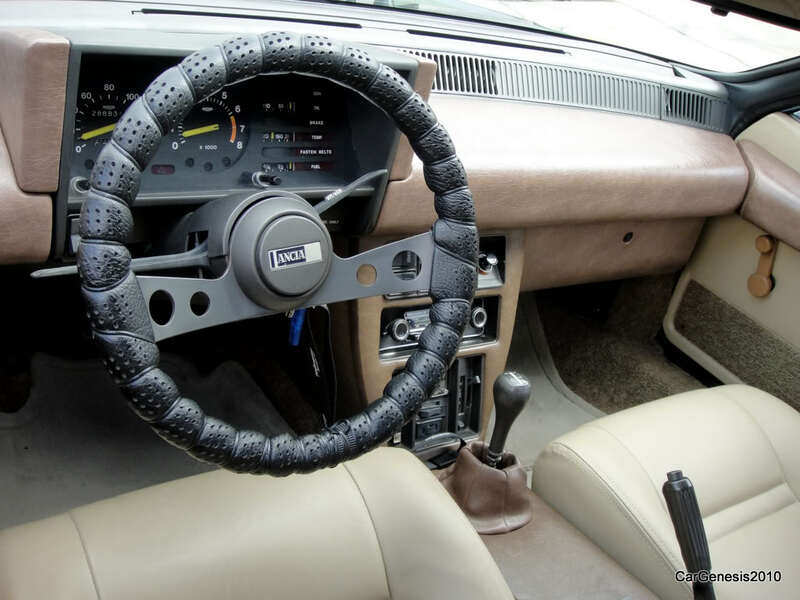 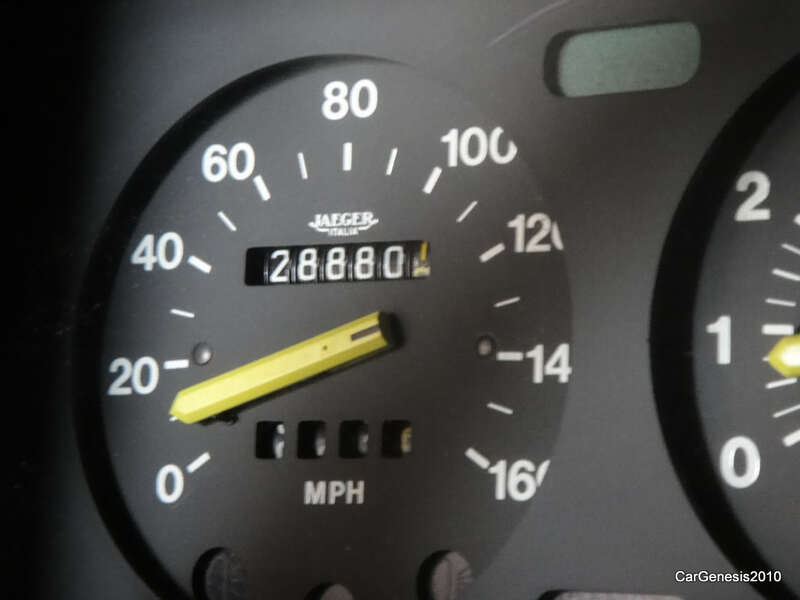 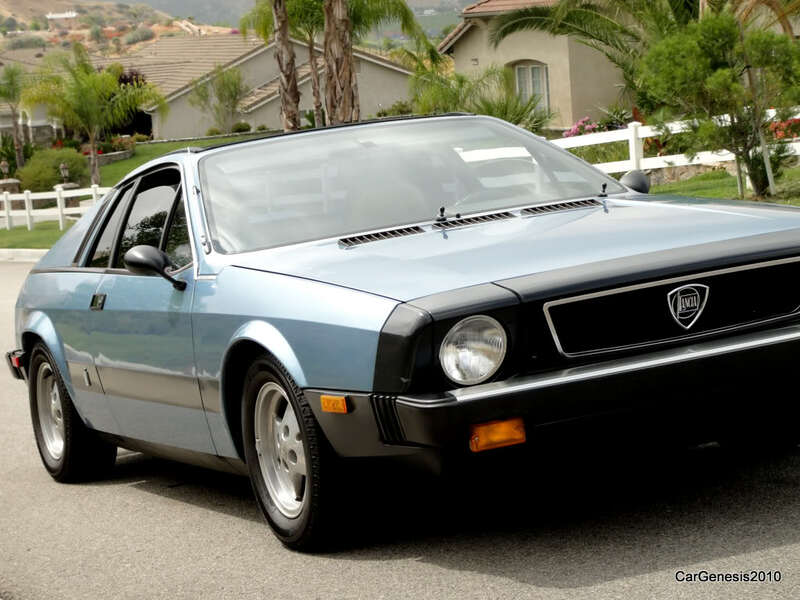 The Beta Montecarlos shared very few components with other Lancia Betas. 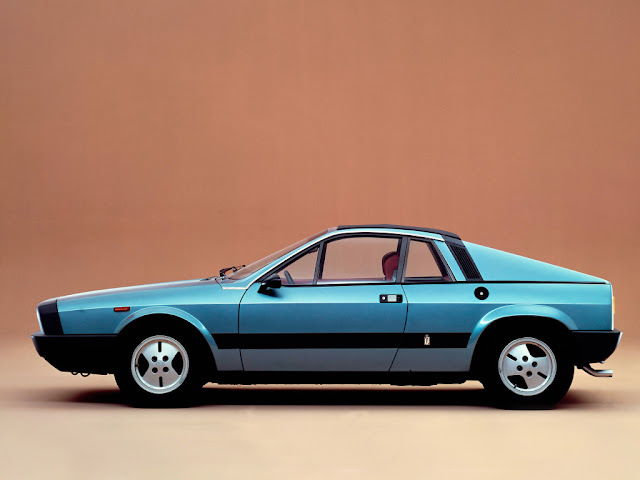 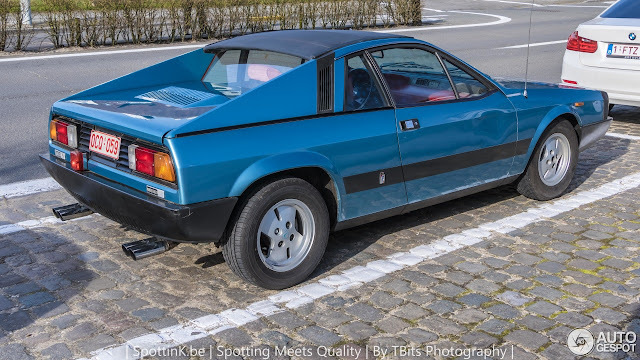 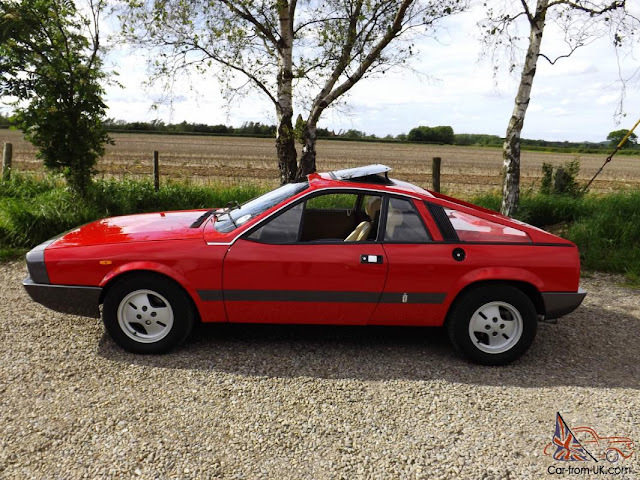 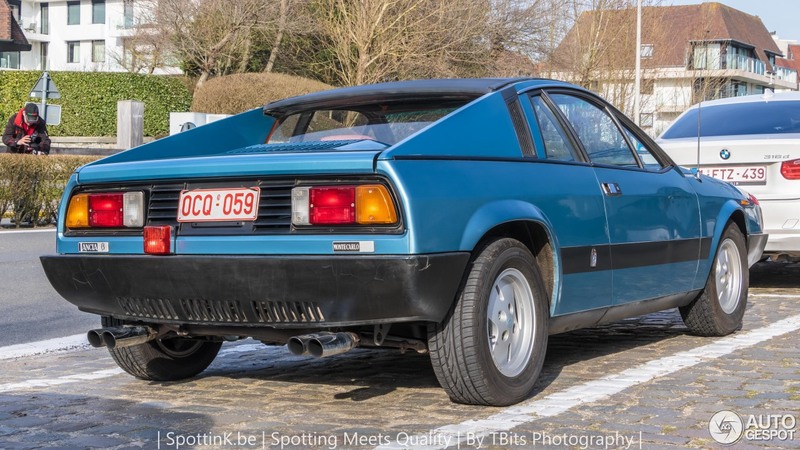 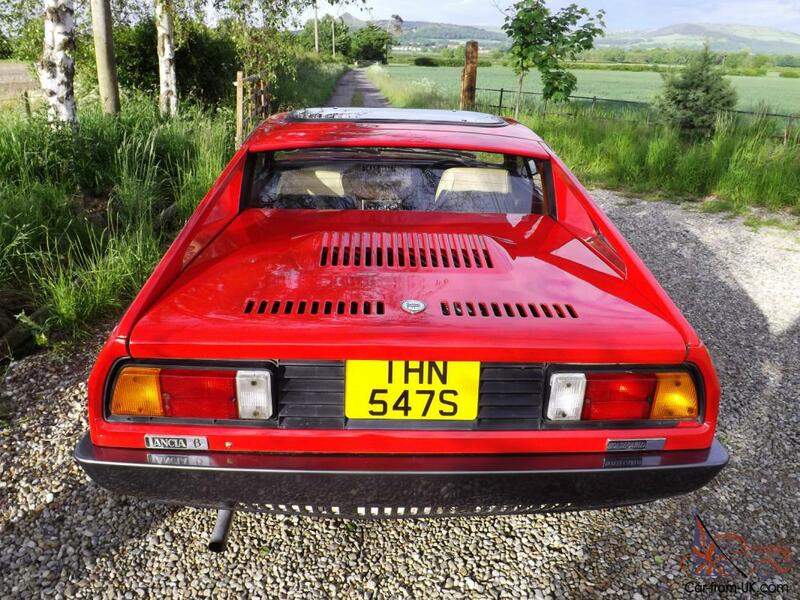 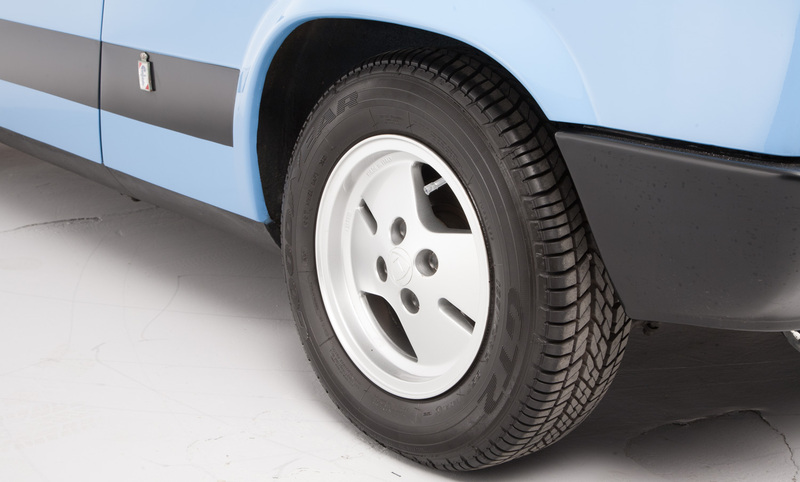 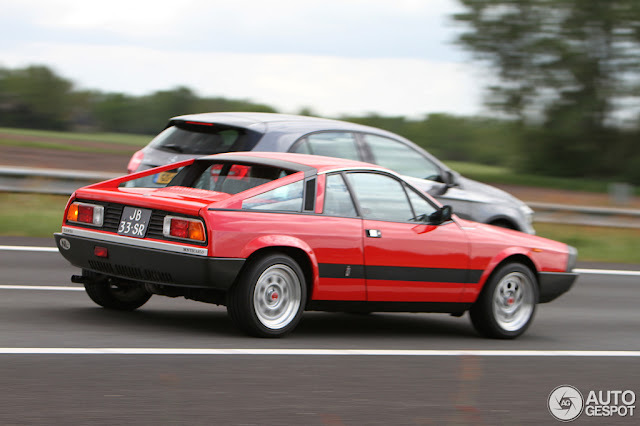 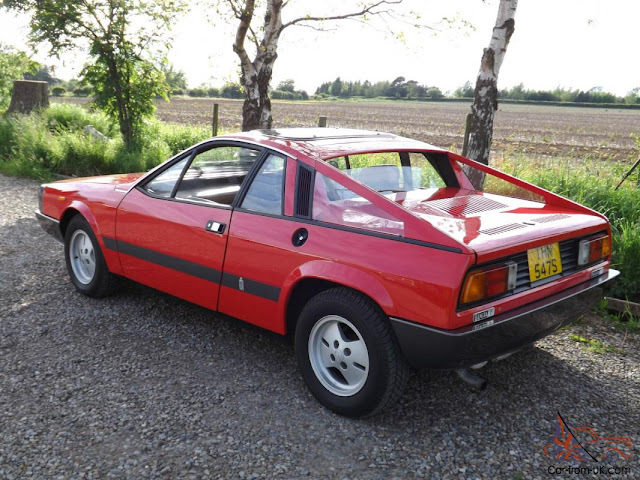 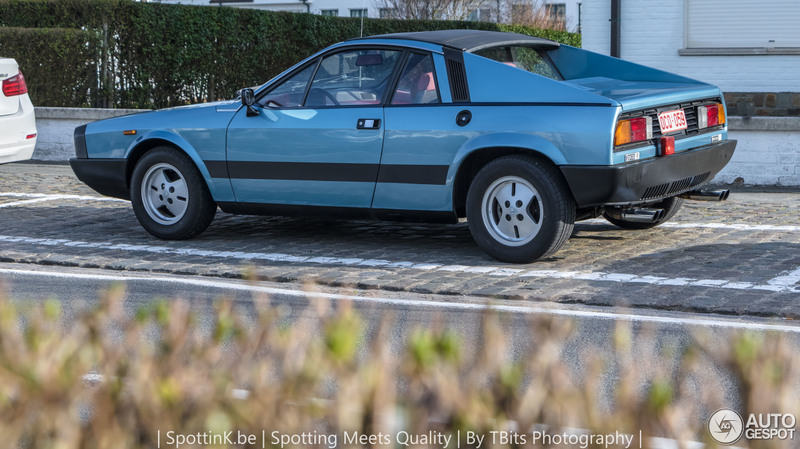 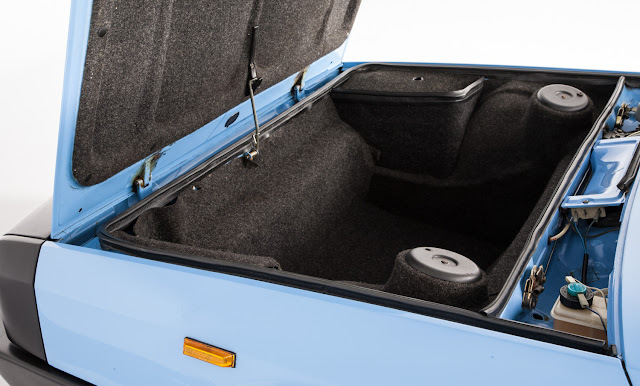 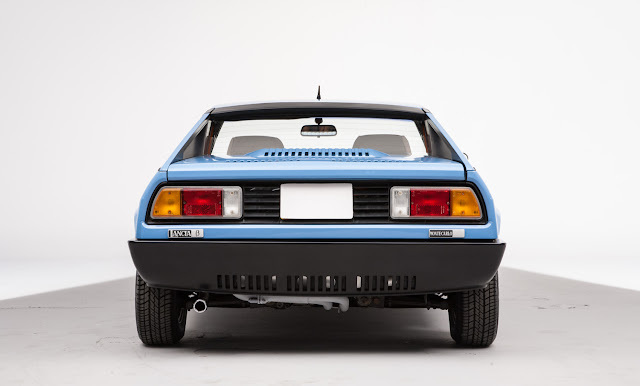 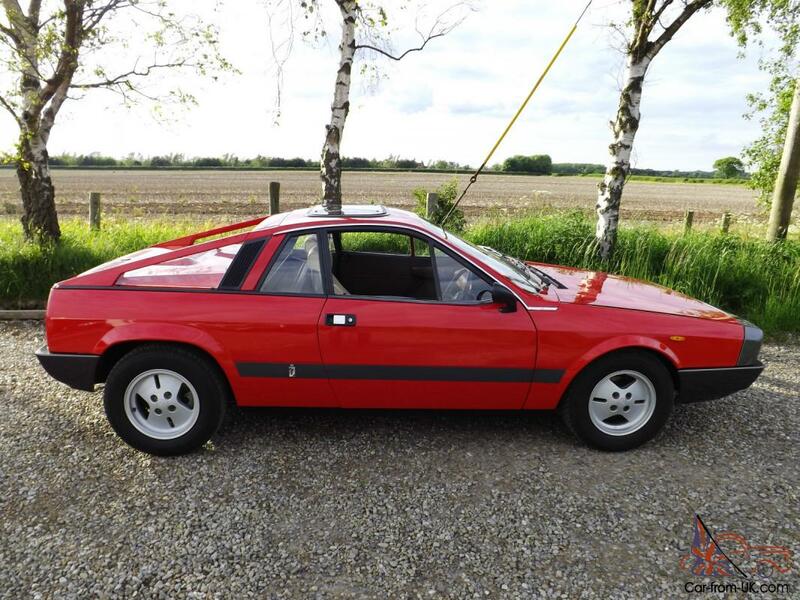 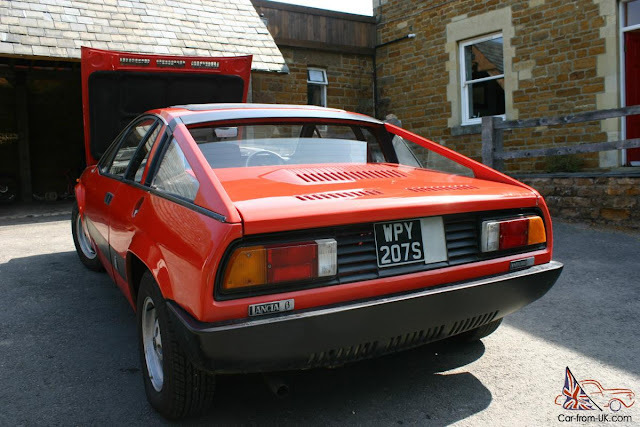 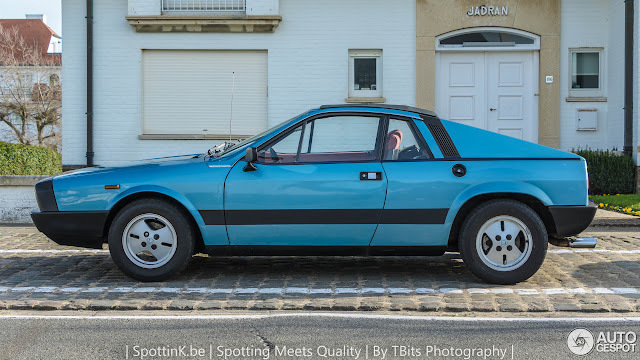 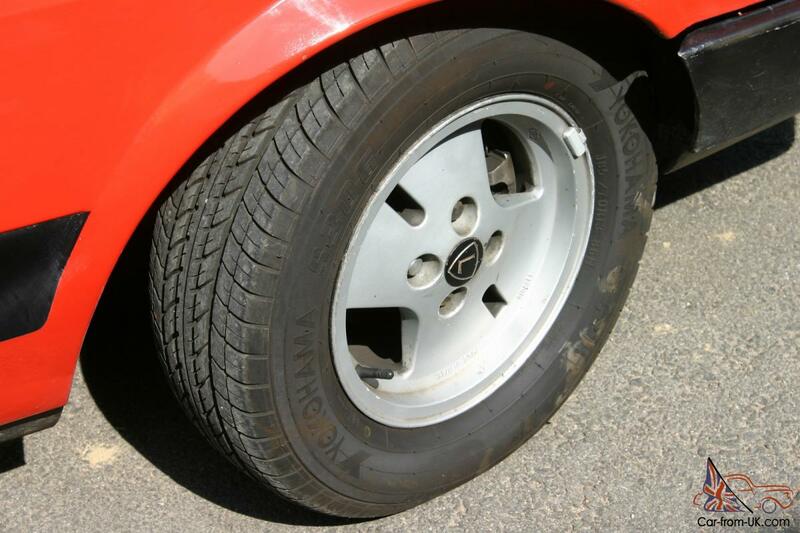 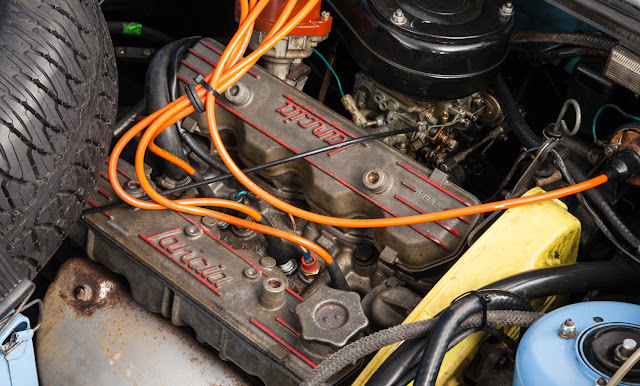 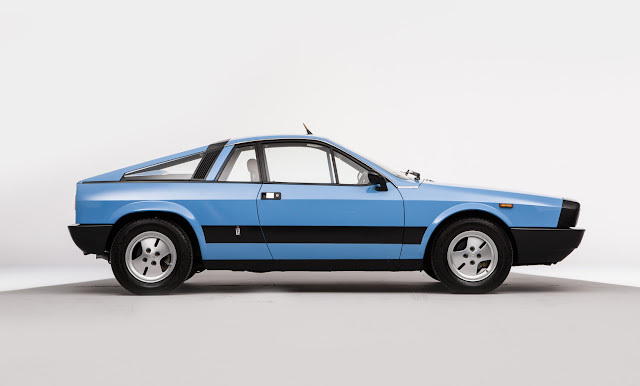 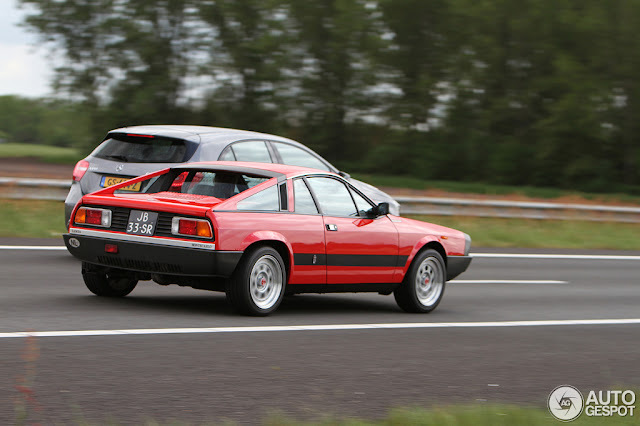 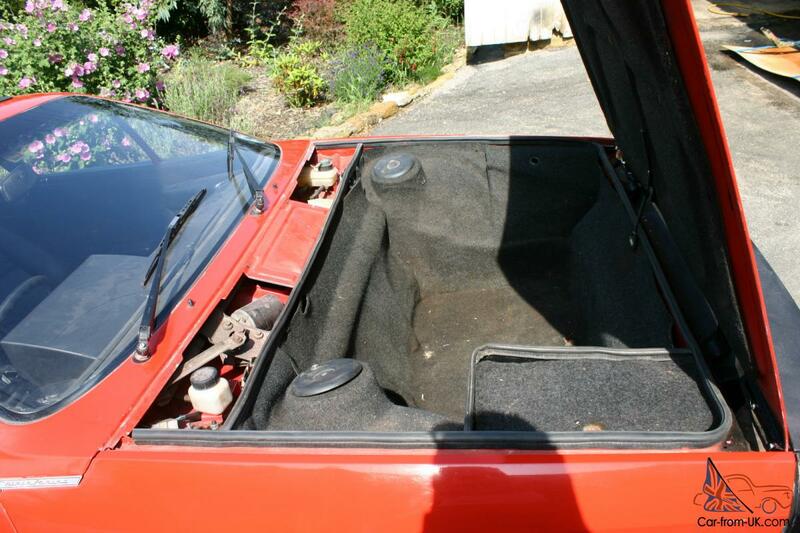 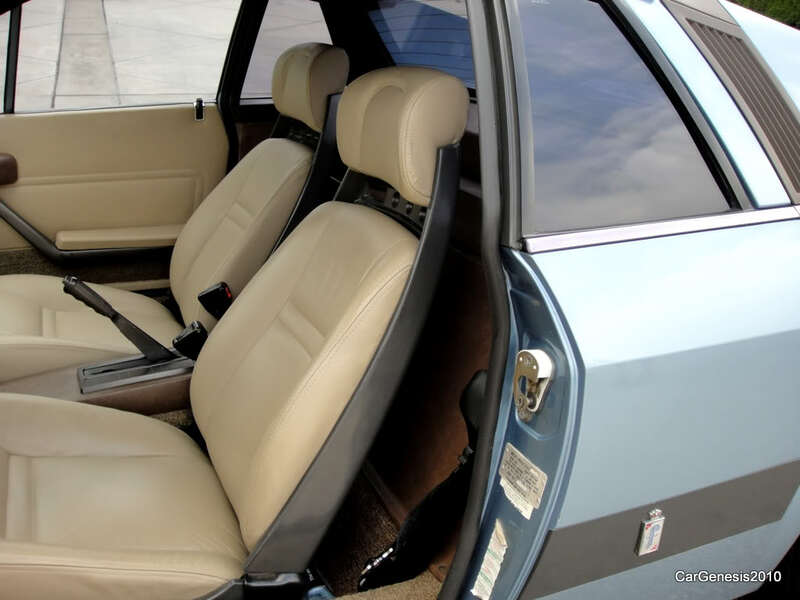 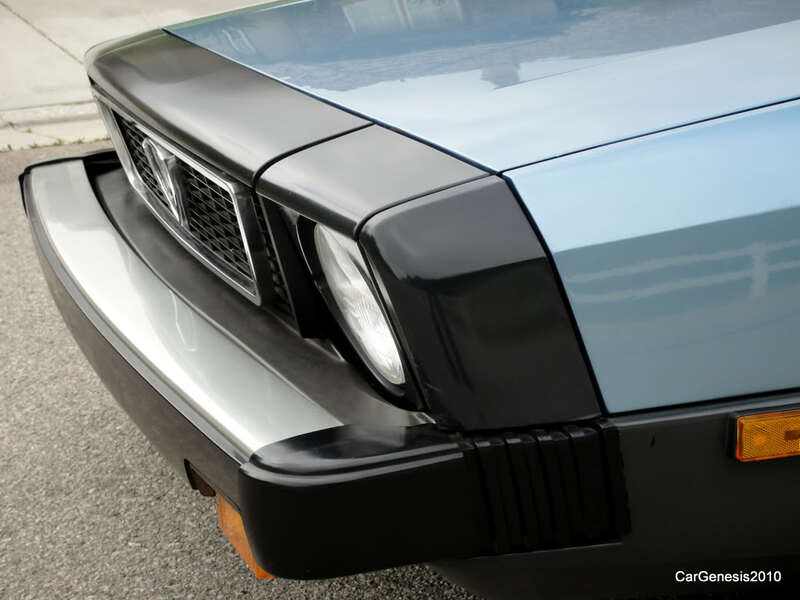 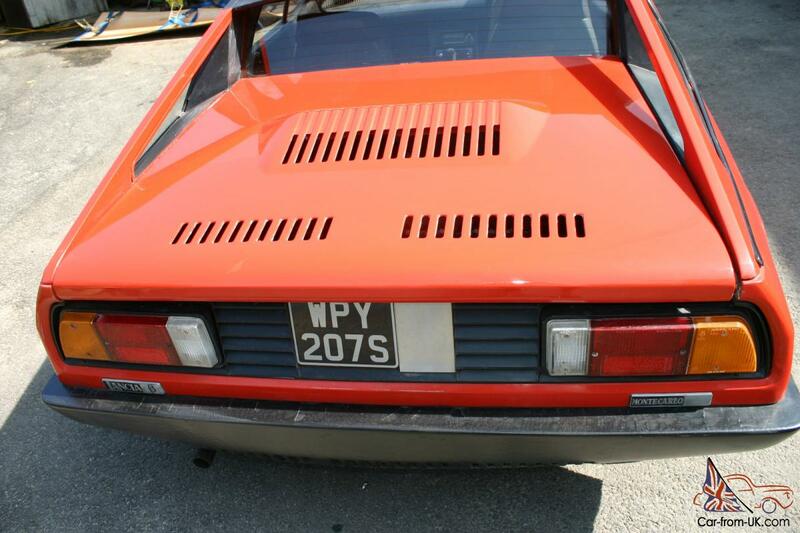 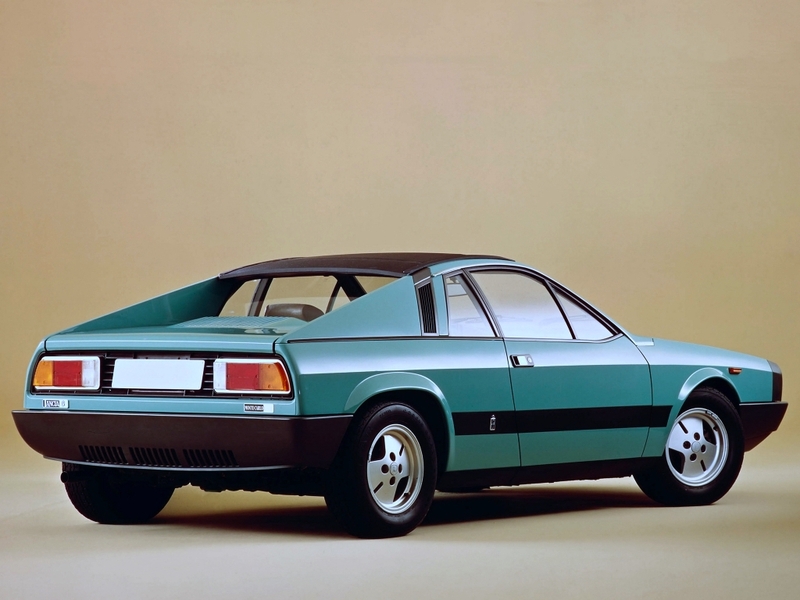 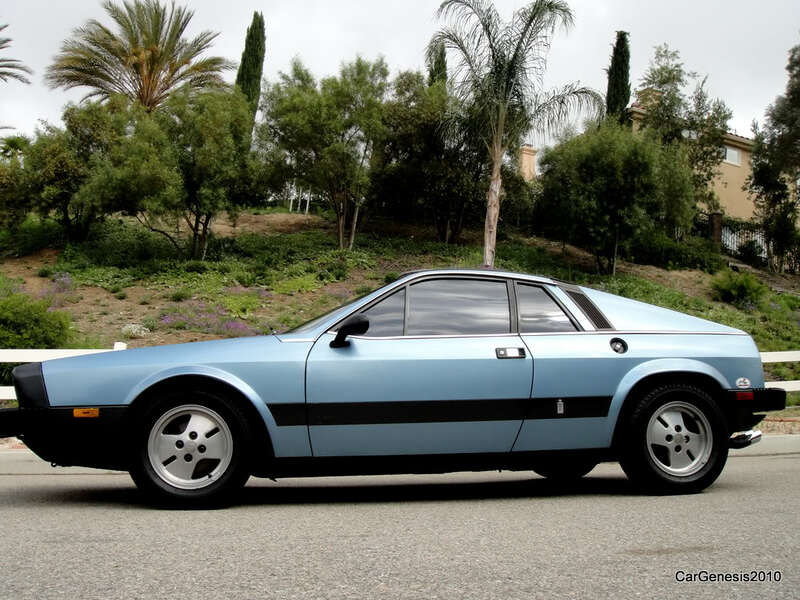 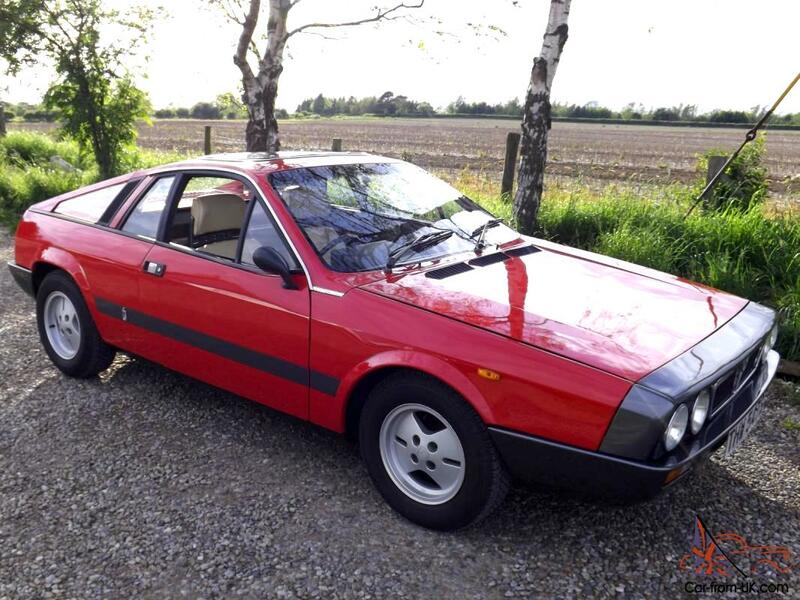 The car was originally designed as Pininfarina's contender to replace Fiat's 124 Coupe, but lost out to Bertone's cheaper design, which became the Fiat X1/9. 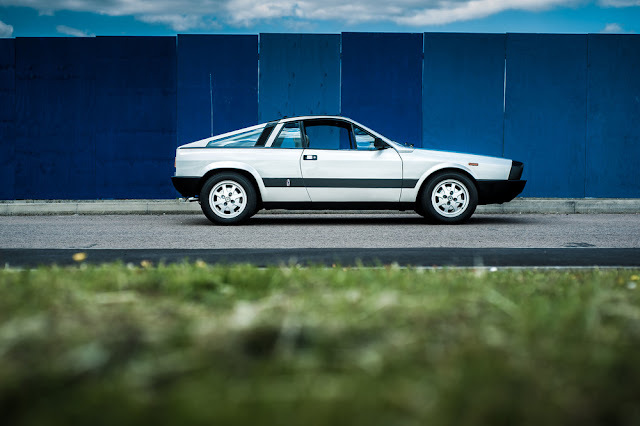 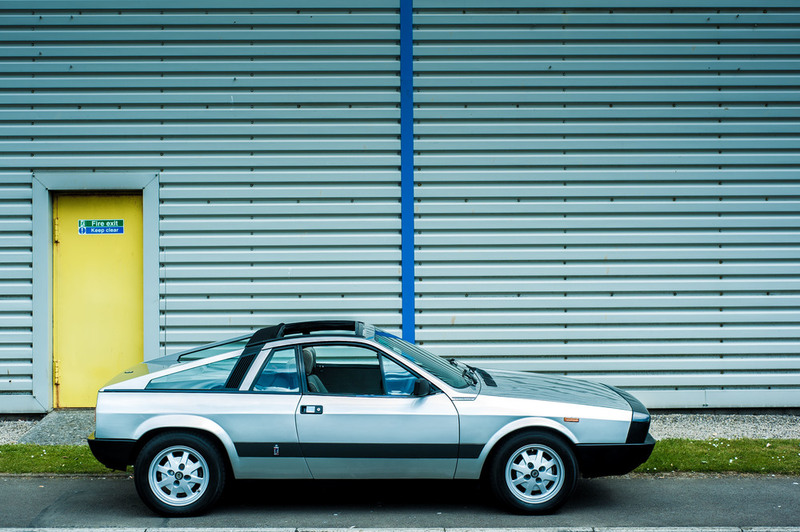 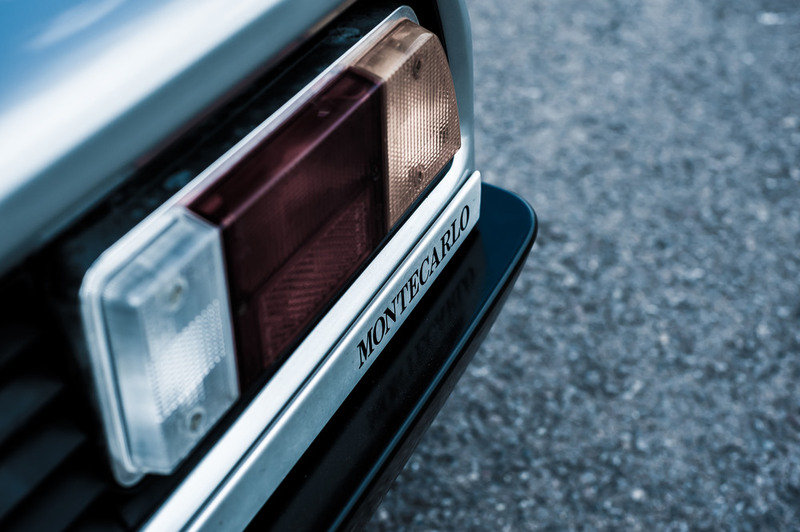 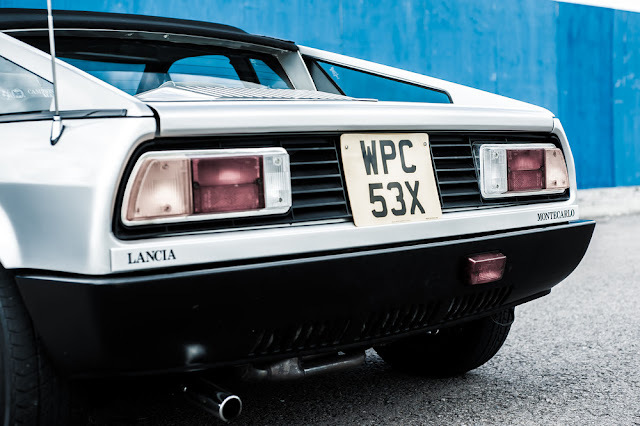 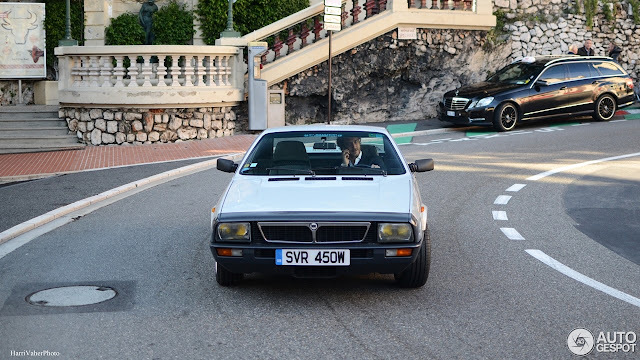 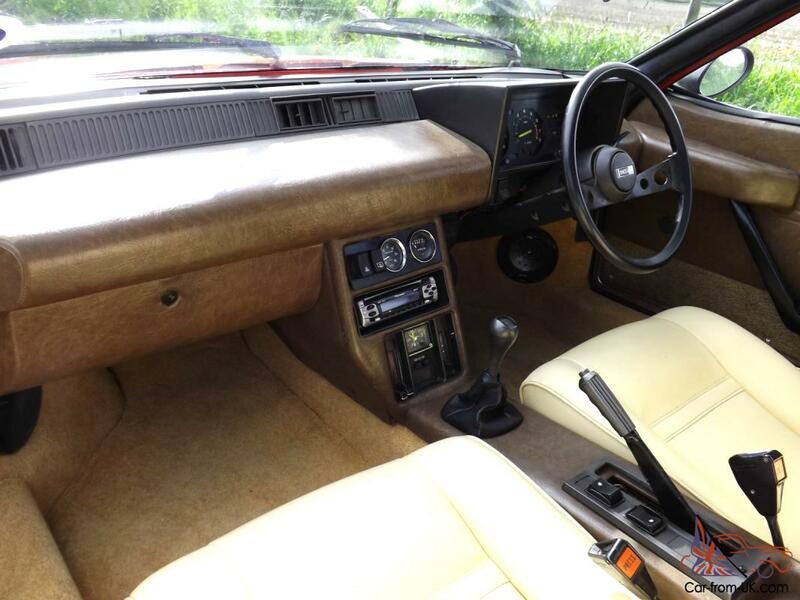 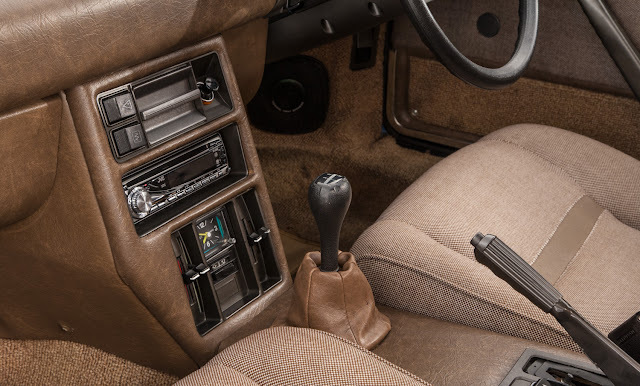 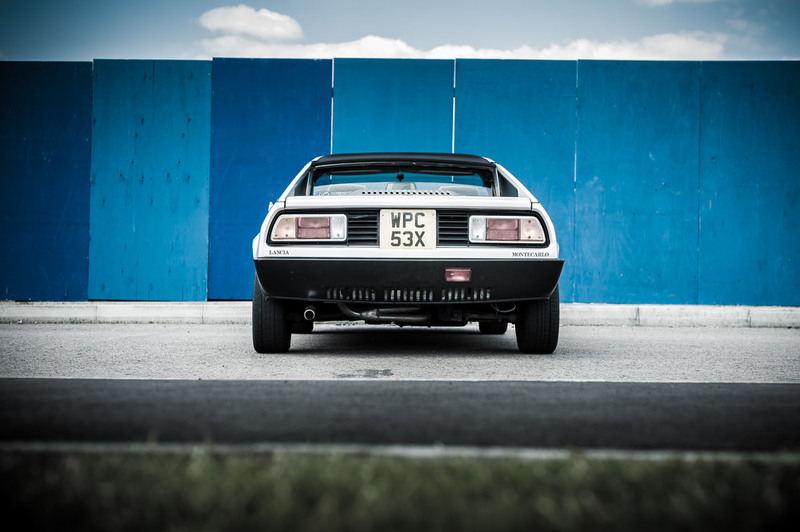 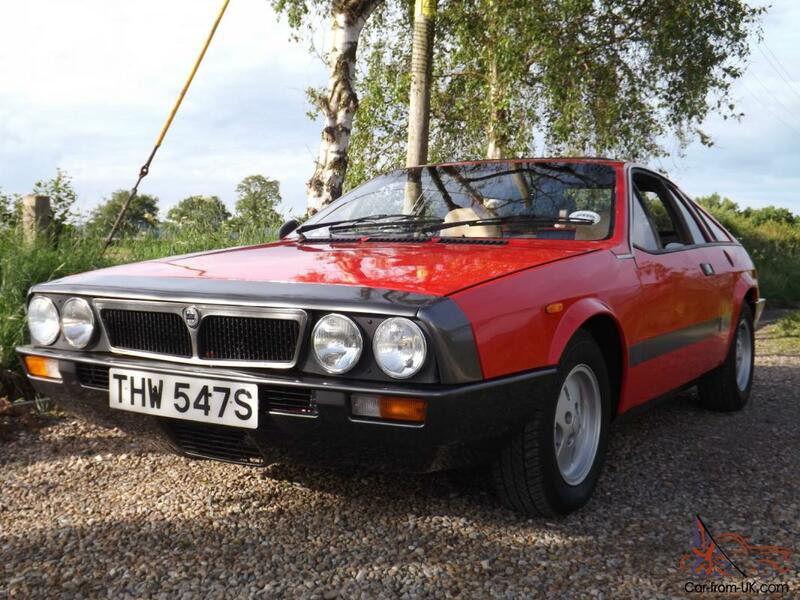 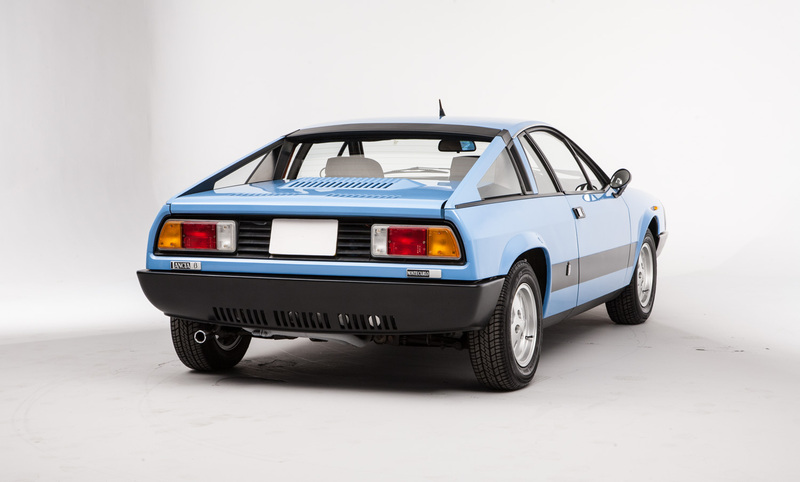 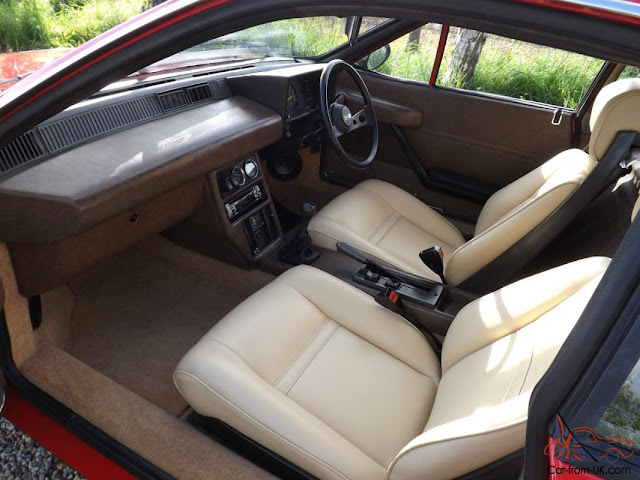 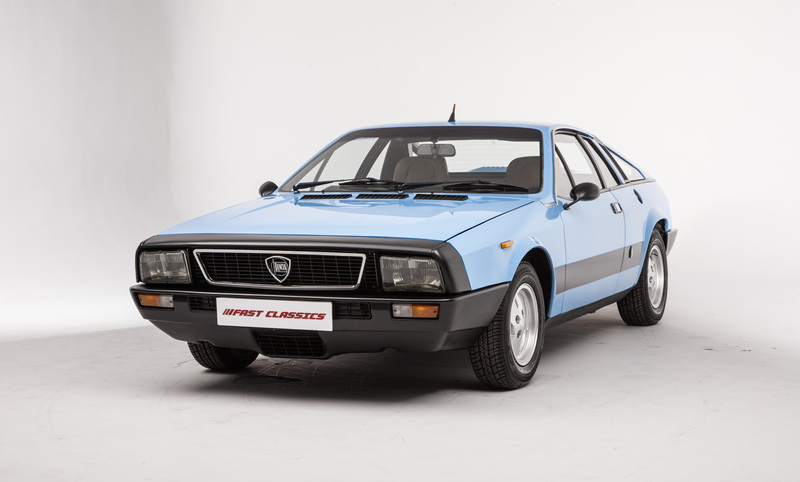 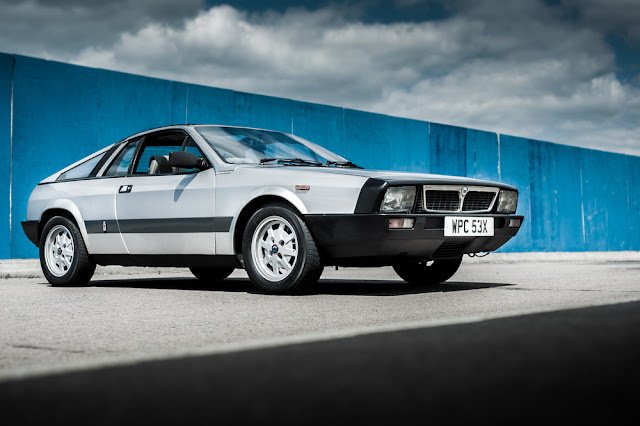 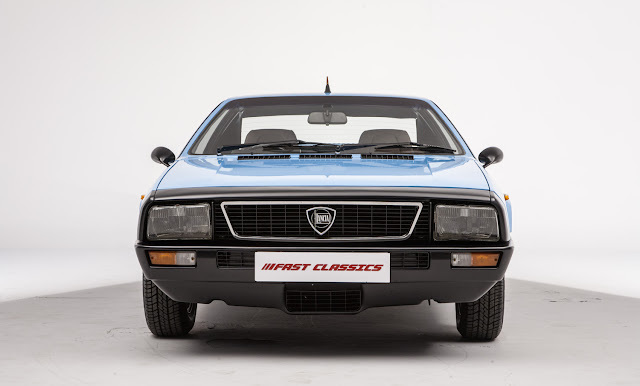 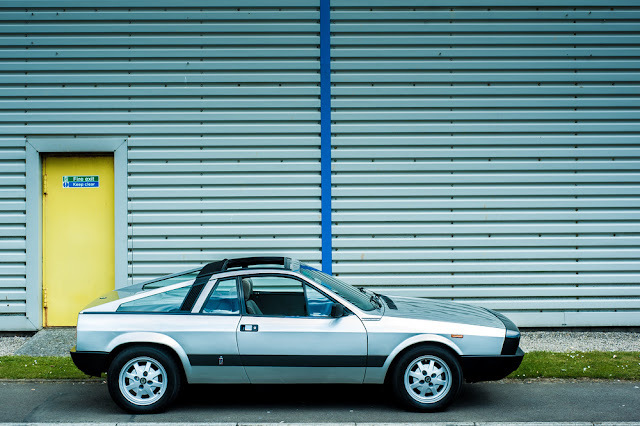 The Lancia Beta Montecarlo was the first car to be made completely in-house by Pininfarina. 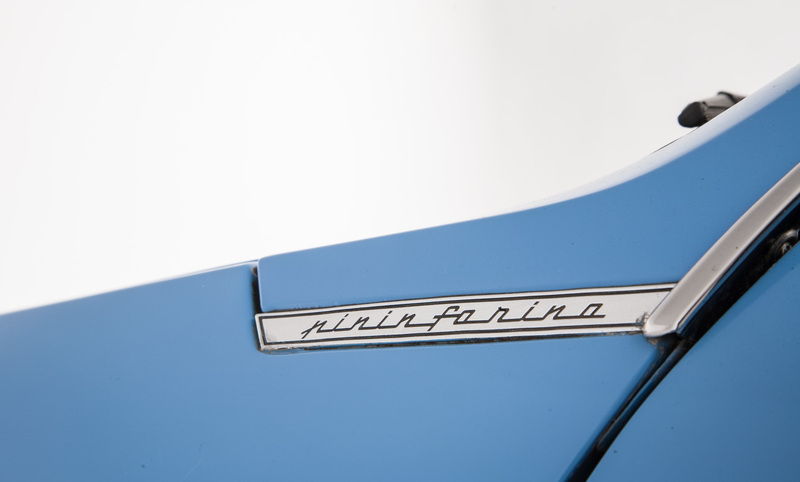 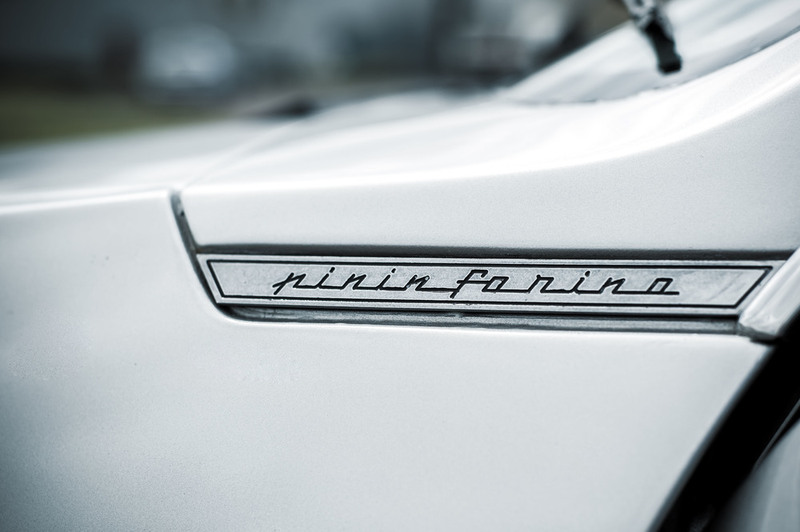 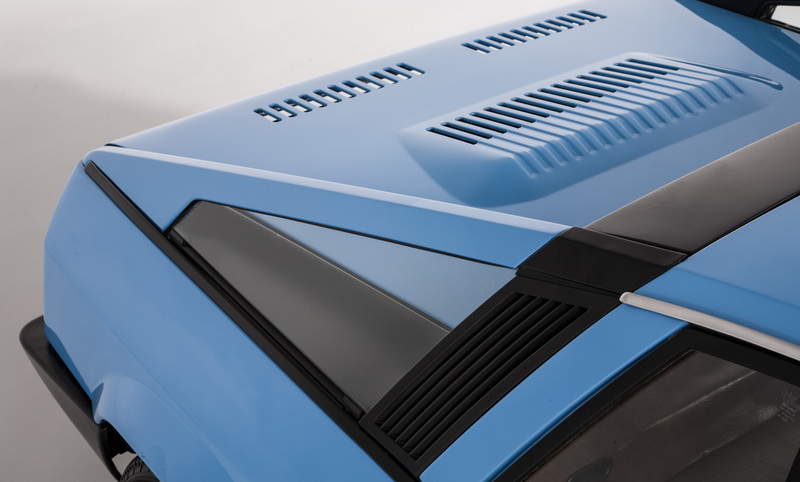 Initial design drawings were done by 1969 and a final design completed by 1971 by Paolo Martin at Pininfarina. 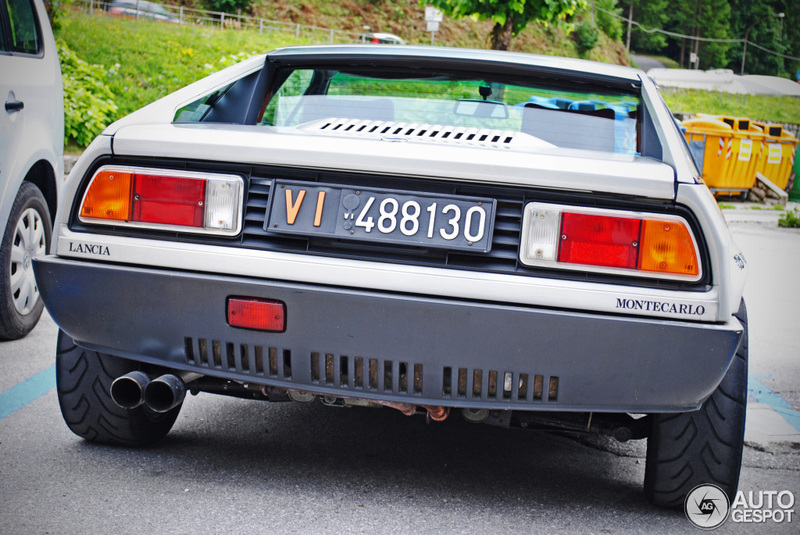 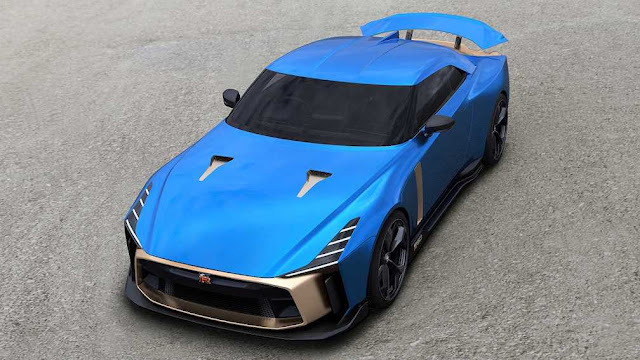 Distinctions of the first series were the solid panels to the rear wings above the engine bay and 8,8Jx13" alloy wheels, unique to this model. 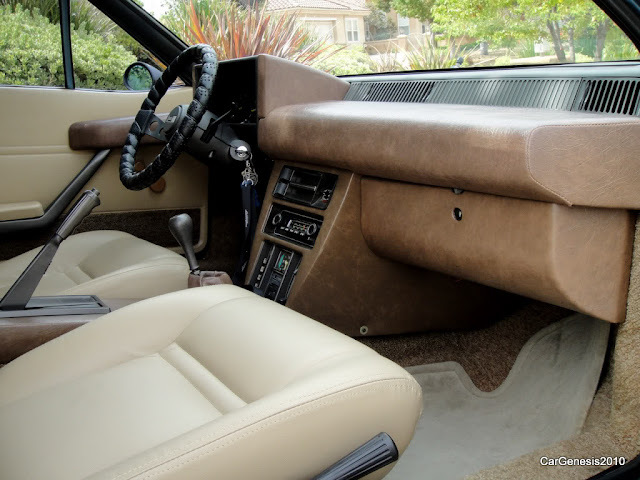 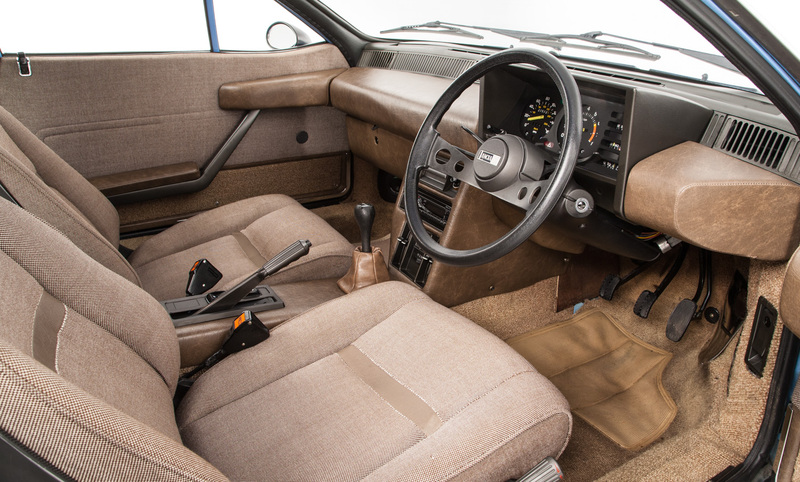 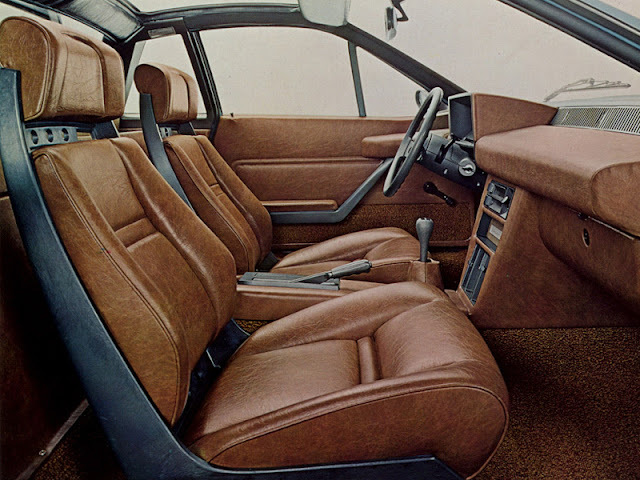 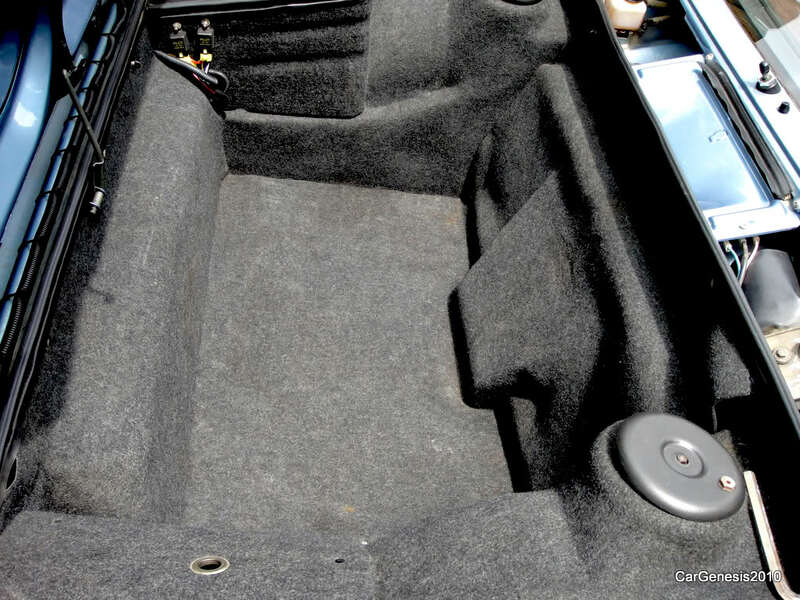 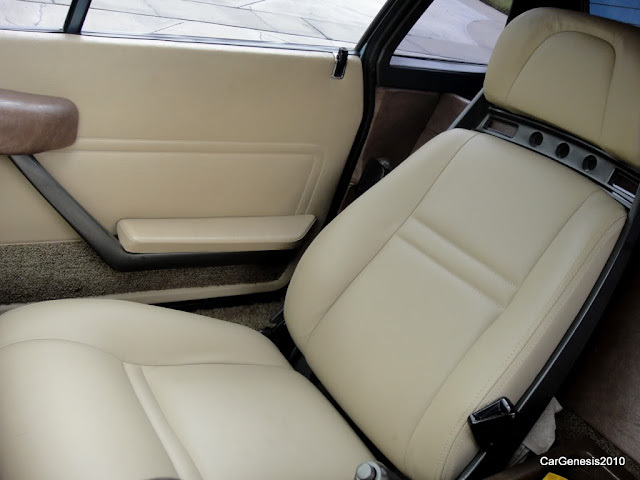 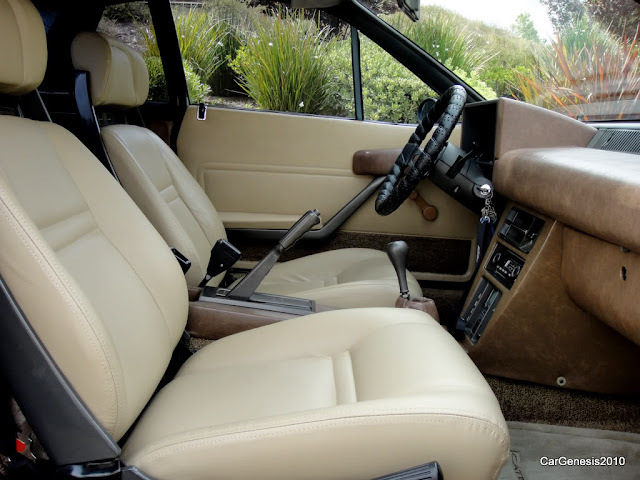 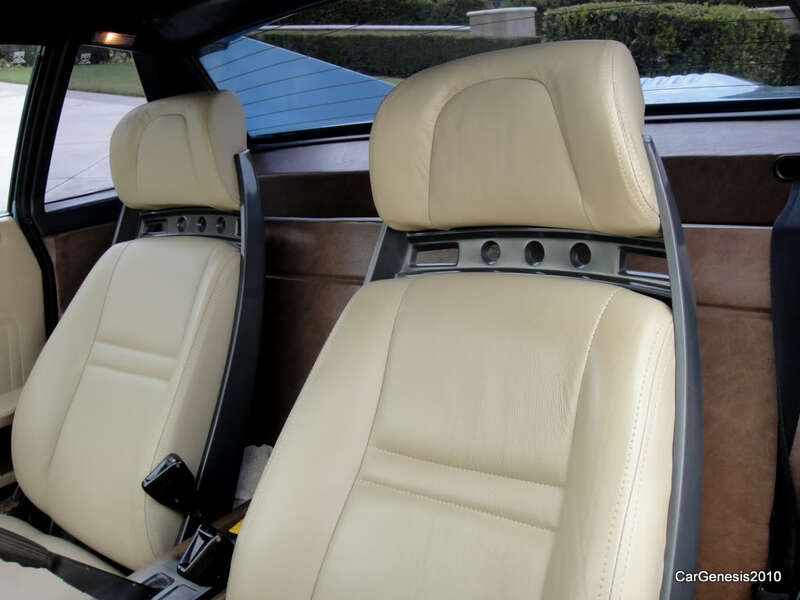 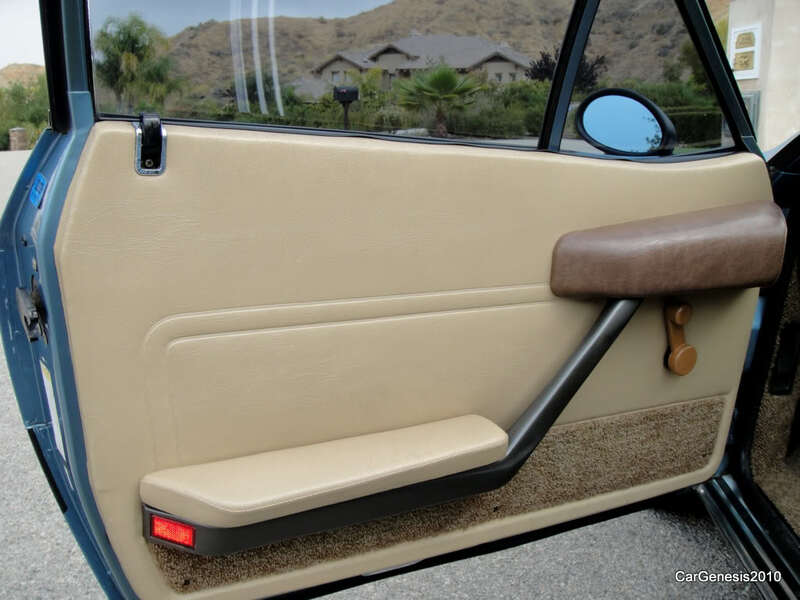 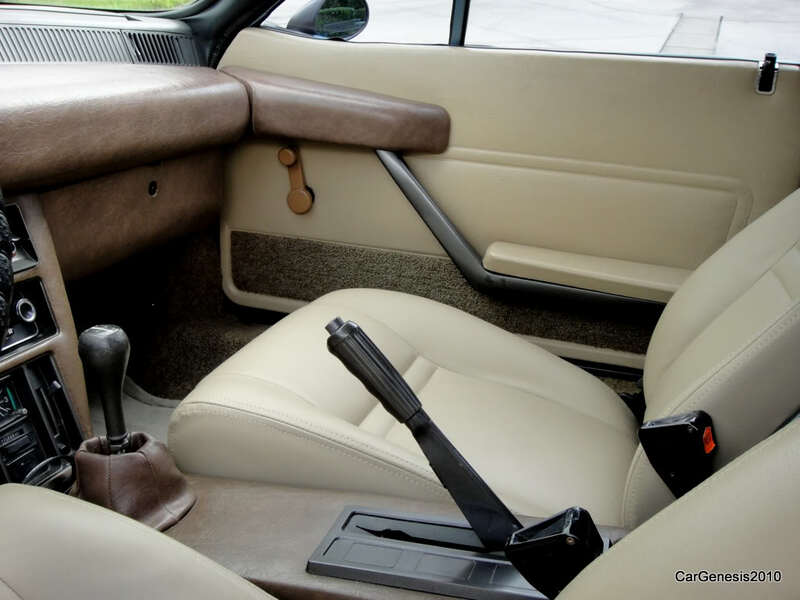 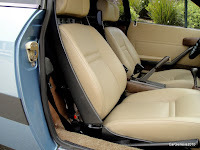 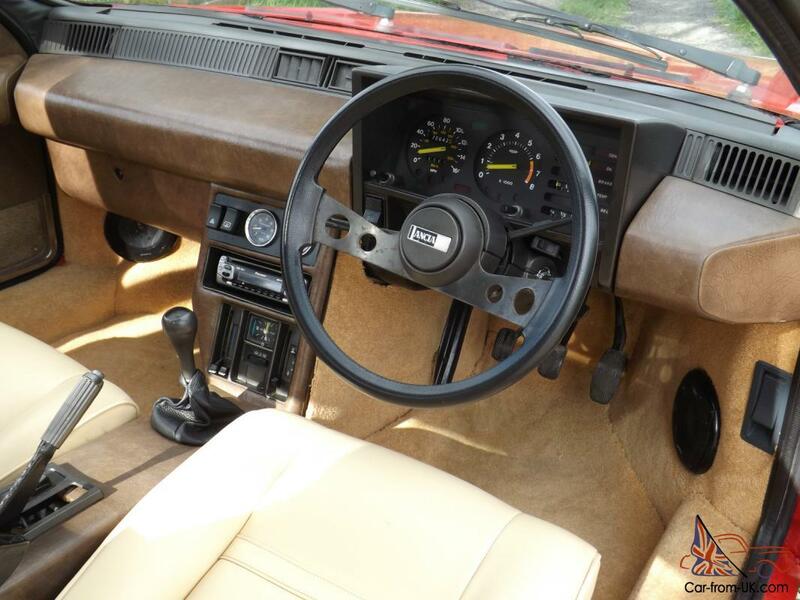 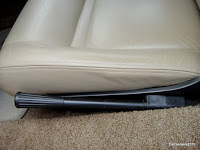 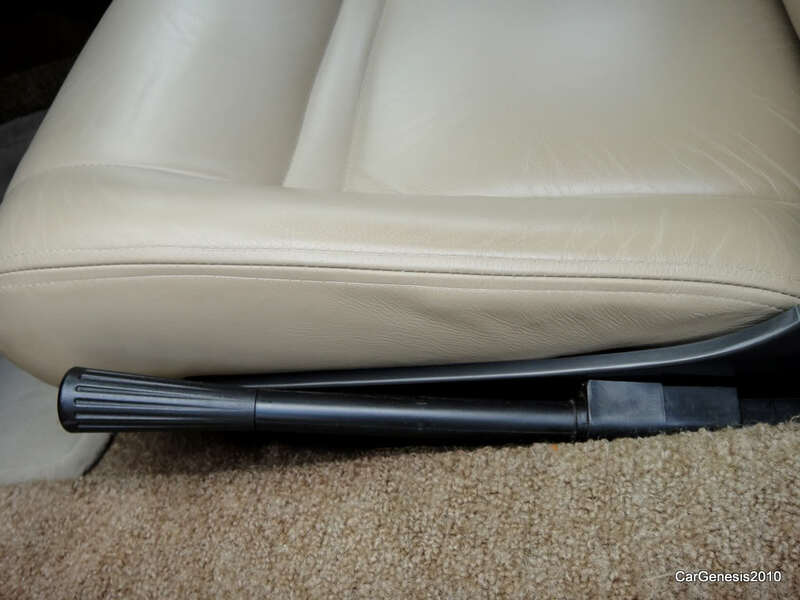 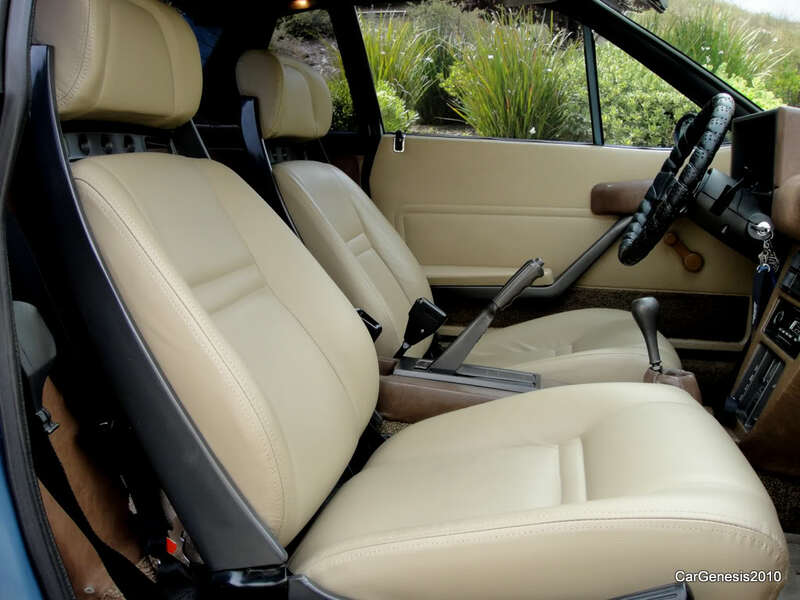 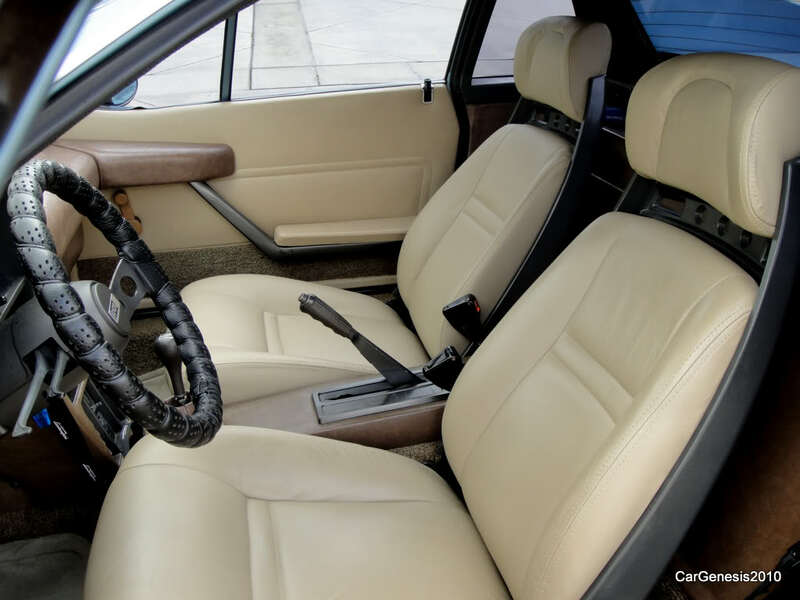 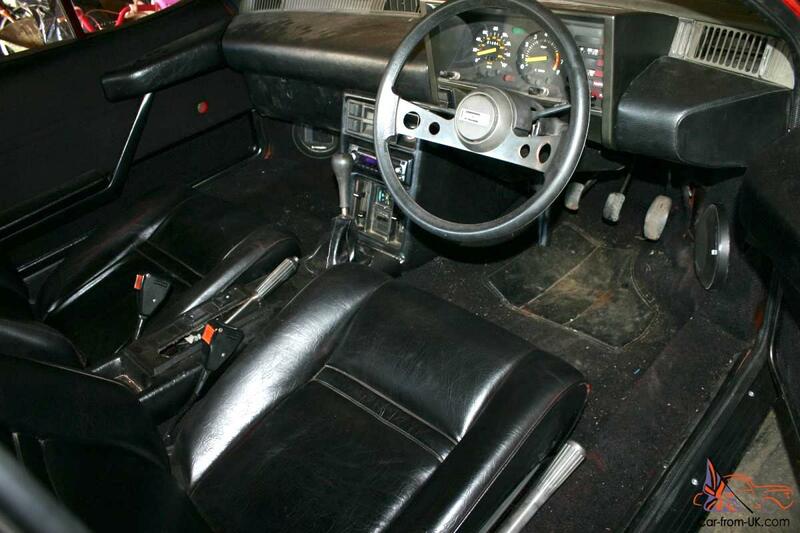 The interior was upholstered in vinyl as standard, in cloth as an option. 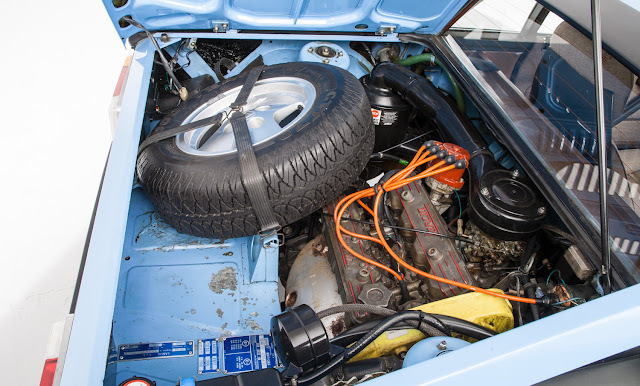 5,638 units of the Series 1 (2,080 Coupés, 3,558 targas) were built. 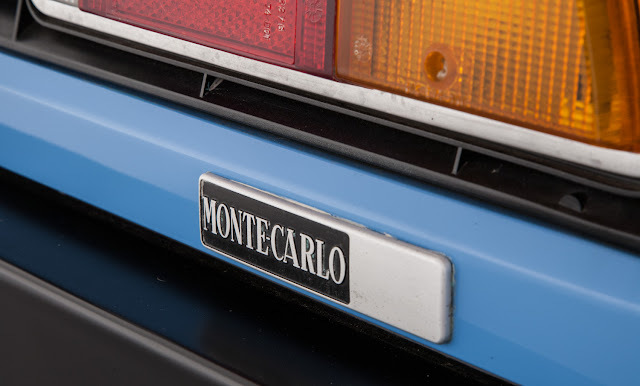 The Beta Montecarlo was on sale in the United States for two years, 1976 and 1977. 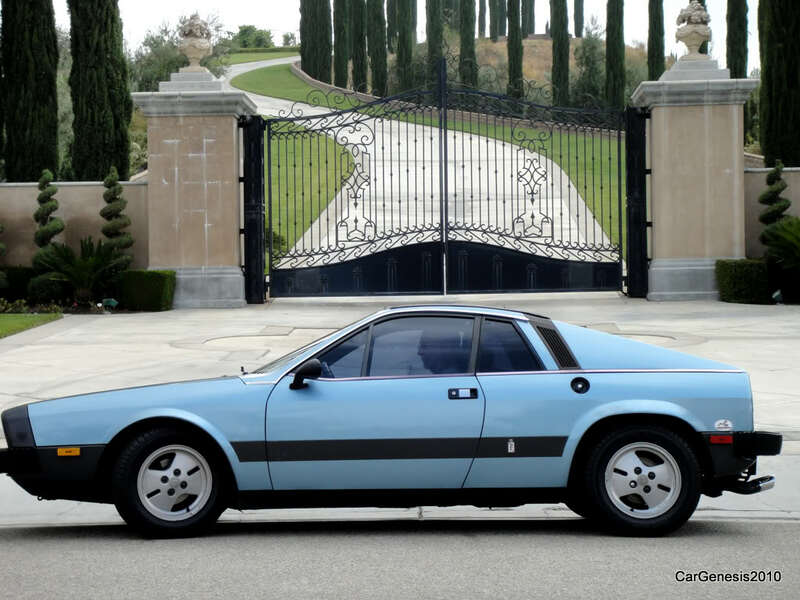 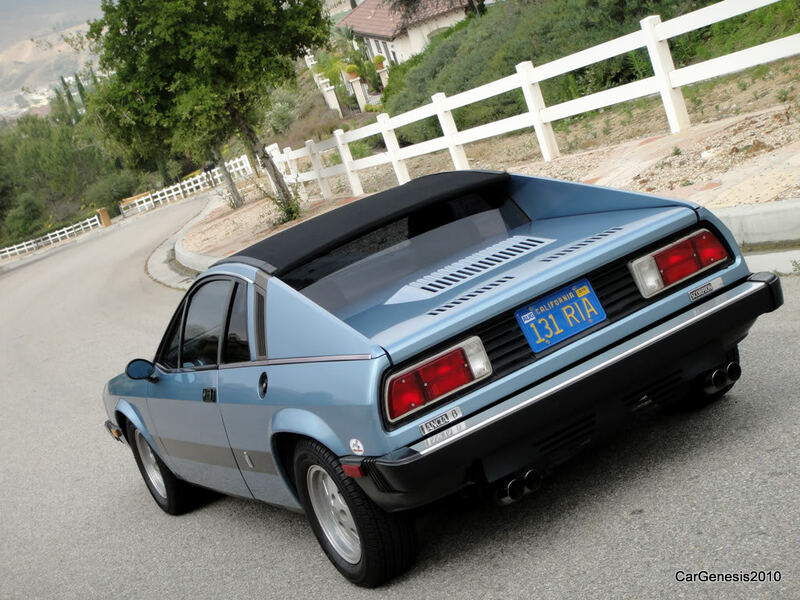 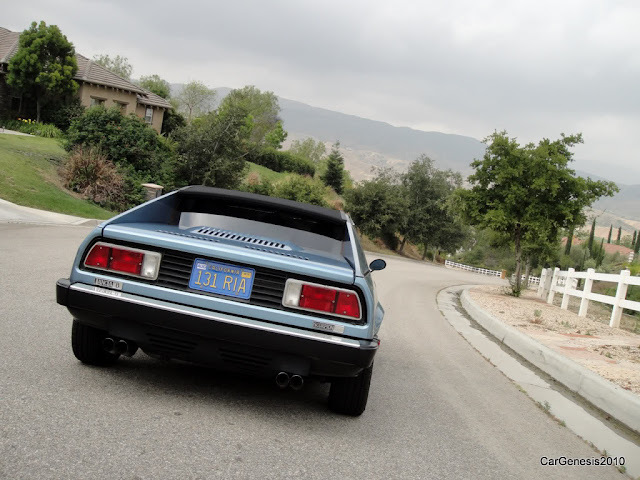 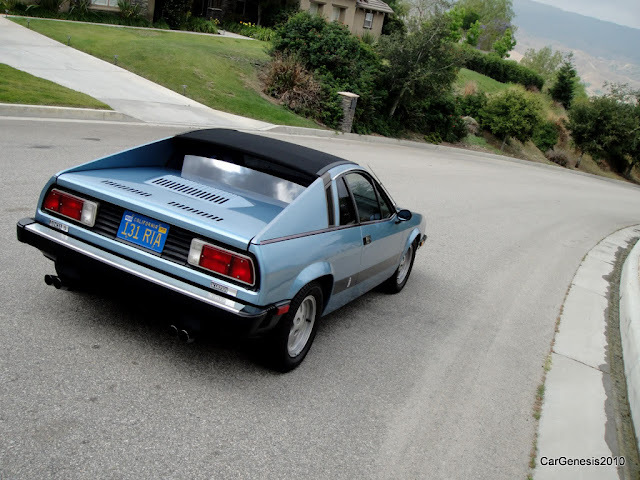 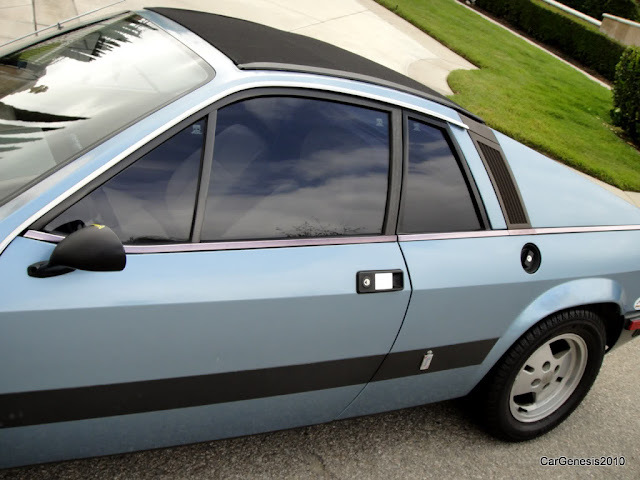 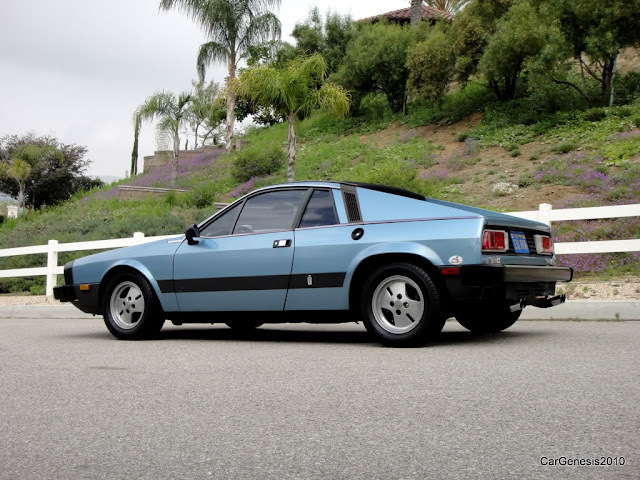 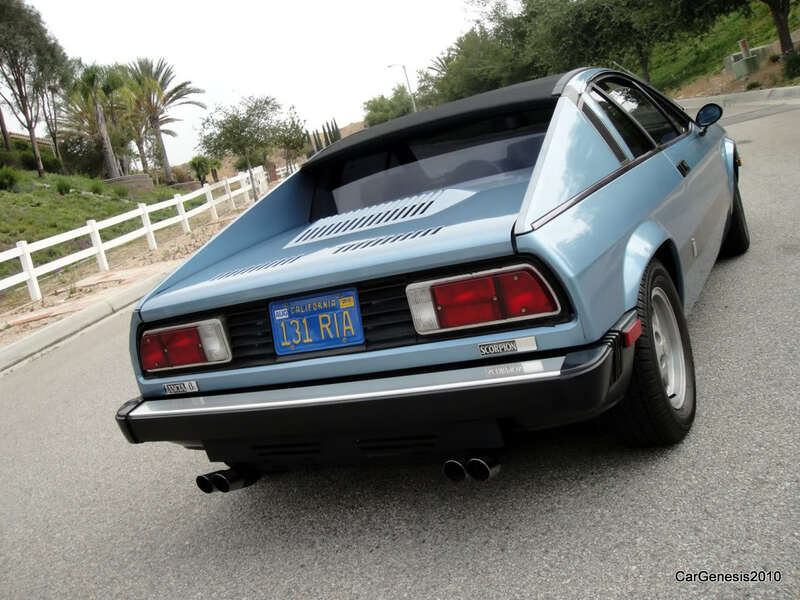 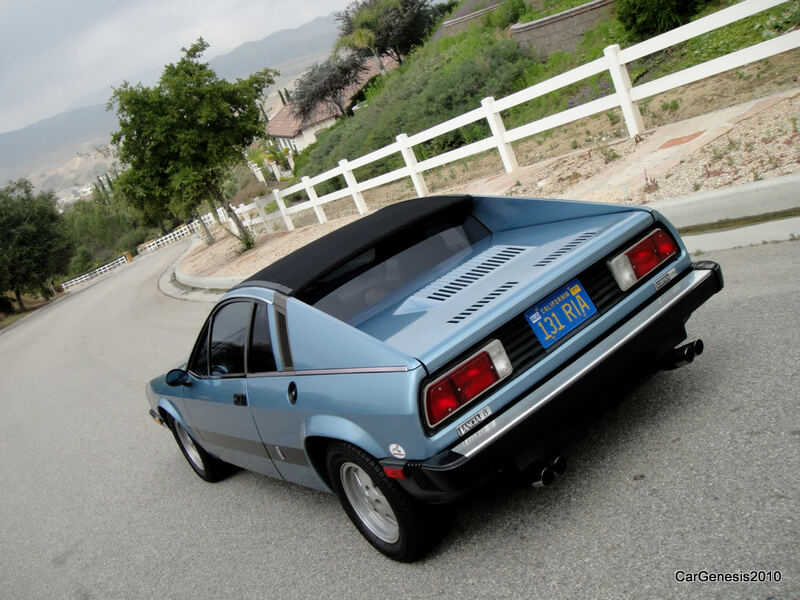 The federalized Montecarlo was re-christened Lancia Scorpion because the name Monte Carlo was already used in America by Chevrolet. 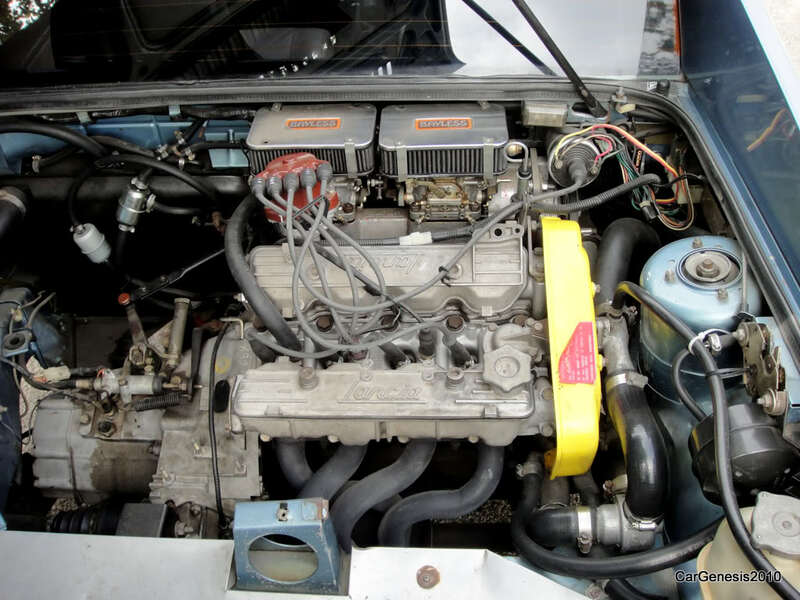 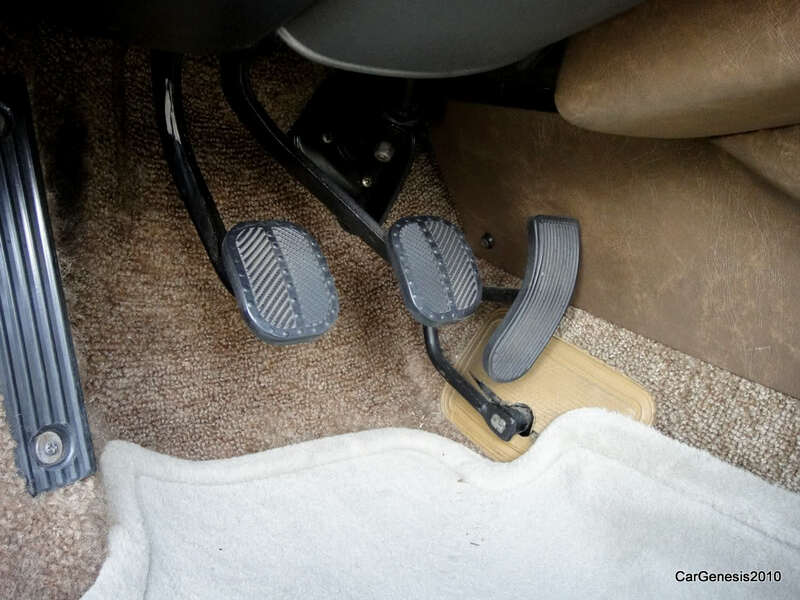 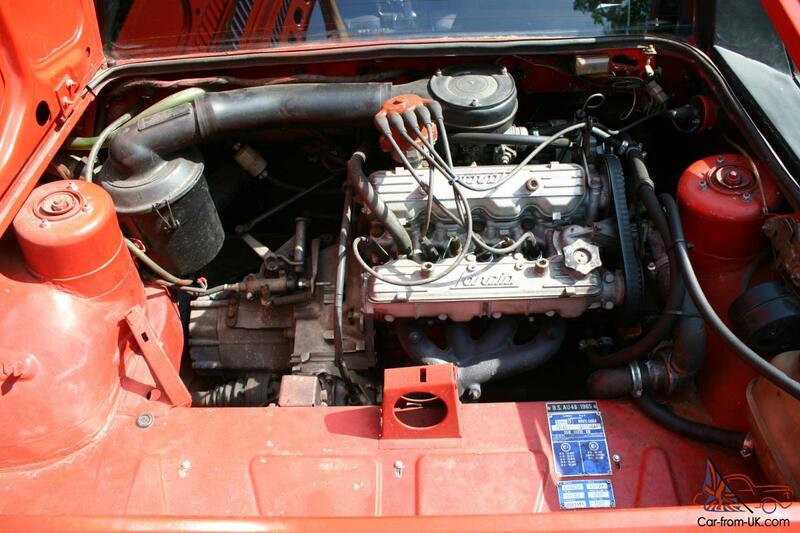 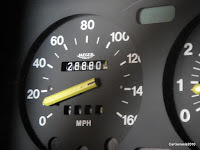 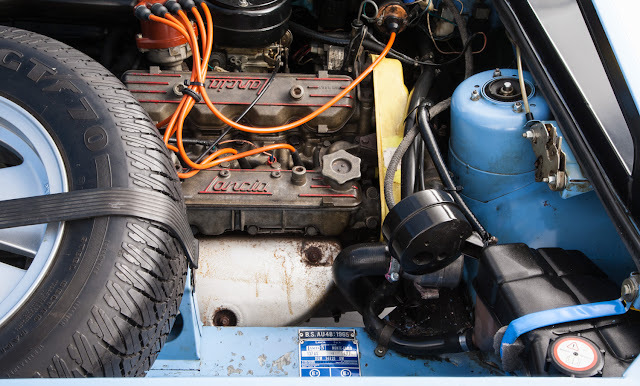 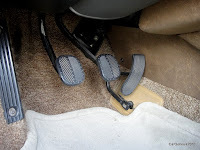 Because of the strict U.S. emission regulations a smaller 1,756 cc twin cam engine and smog equipment had to be fitted. 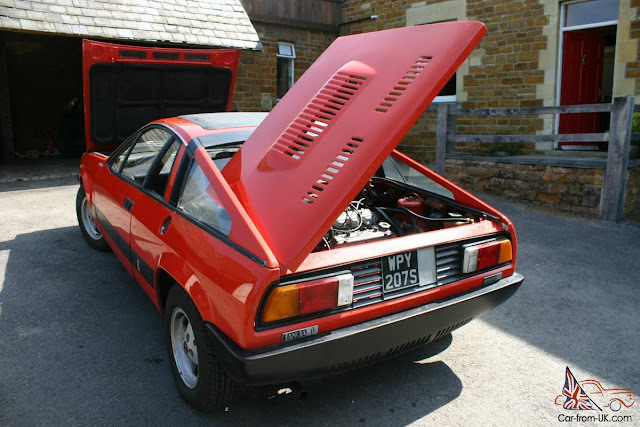 Therefore, the Scorpion delivered just 81 hp (60 kW), down from the 120 of the Montecarlo. 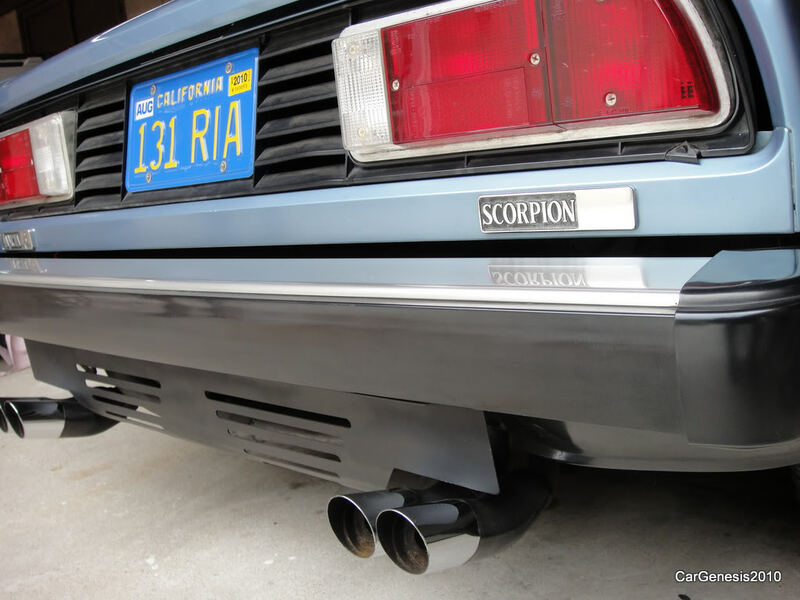 The Scorpion had bigger 5-mph bumpers and semi pop-up, sealed beam headlights. Two additional series of vents on the engine cover were required to cool the catalyst. 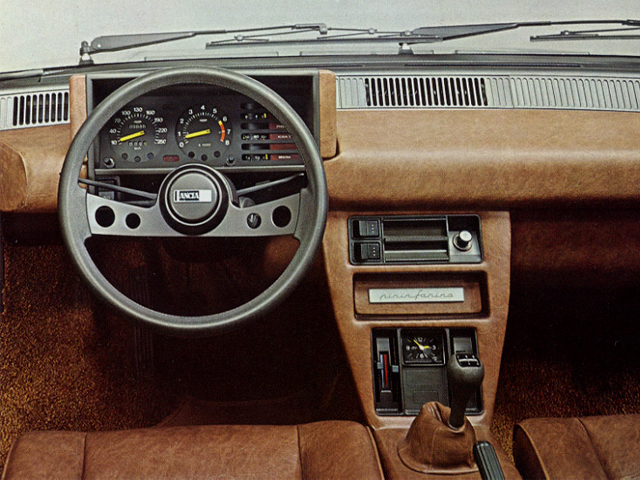 All Scorpions featured the convertible top. 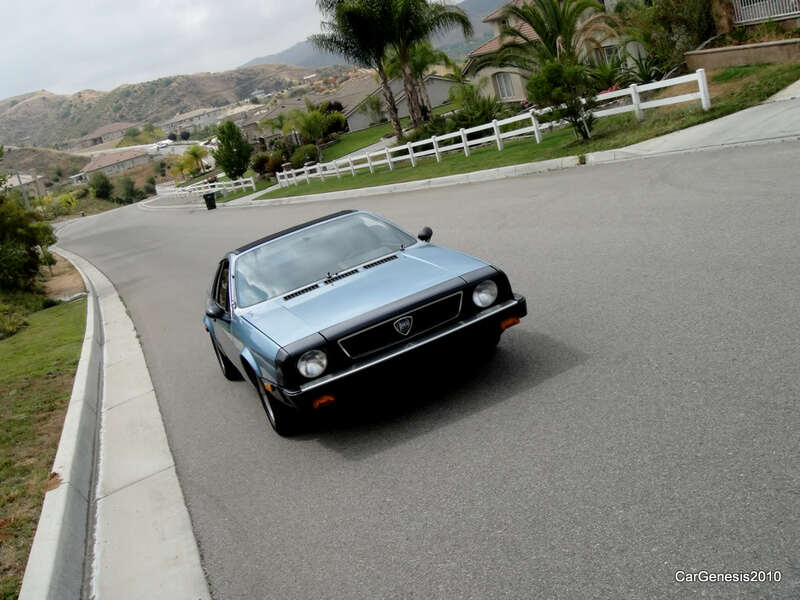 A total of 1,801 Lancia Scorpions were manufactured in 1976 and sold as model year 1976 and 1977. 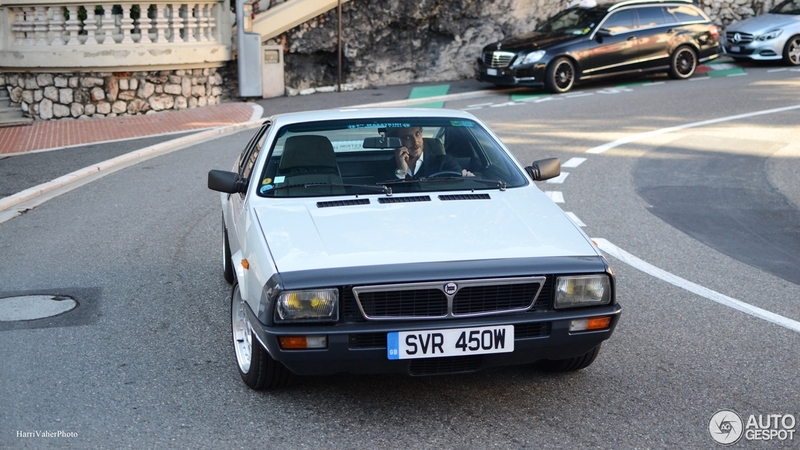 The revised Second Series cars (1980–1981) were simply badged as Lancia Montecarlo. 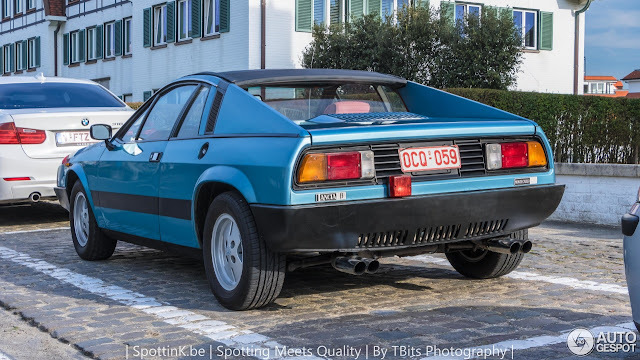 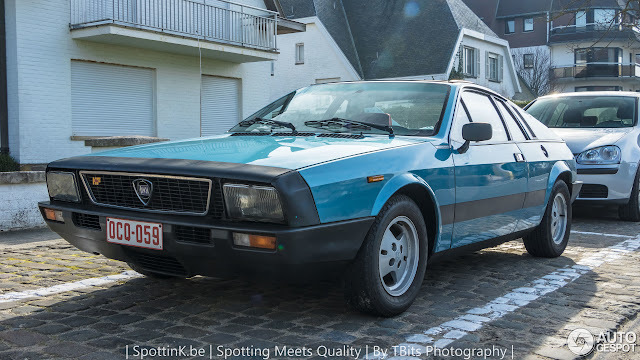 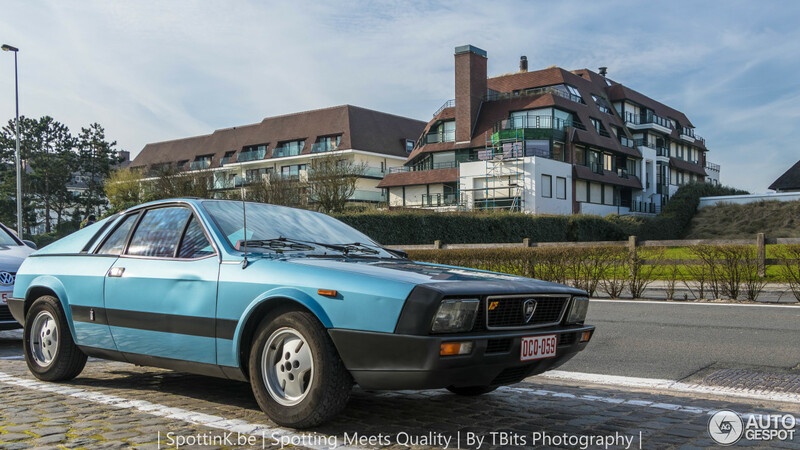 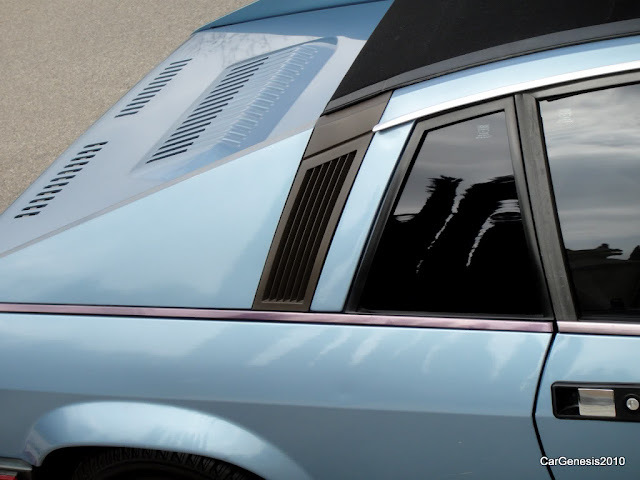 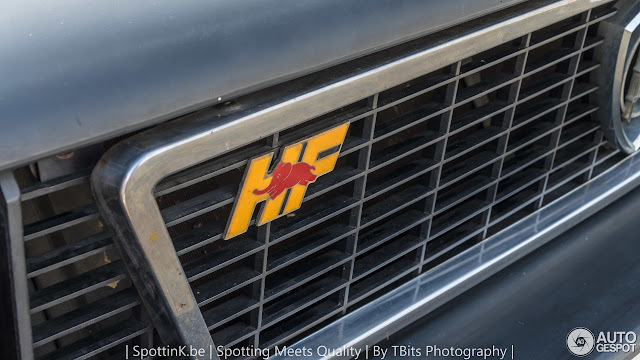 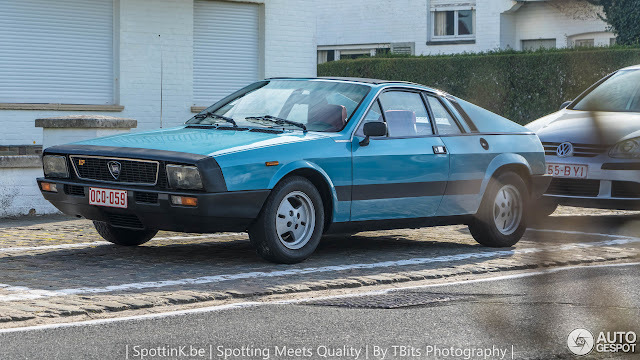 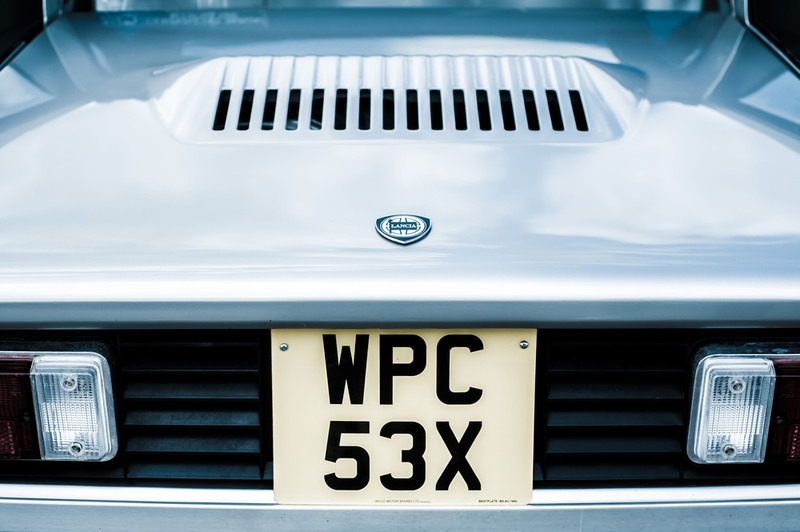 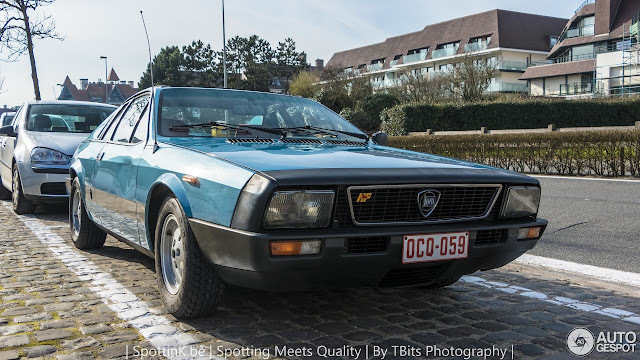 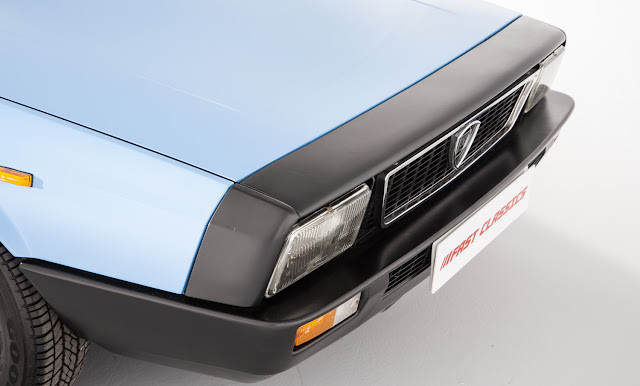 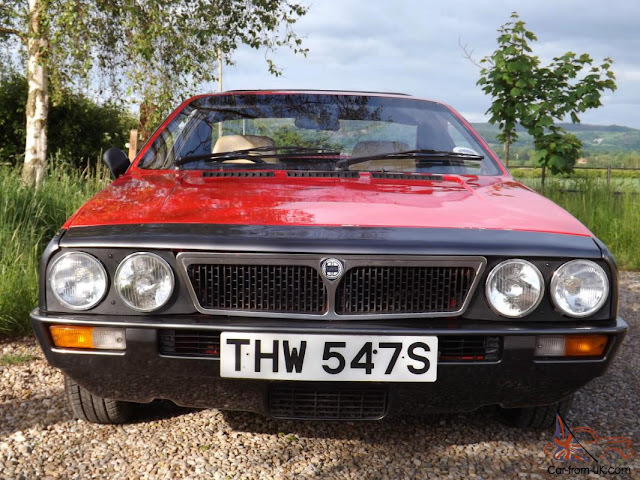 On the exterior the most evident changes were the updated signature Lancia split grille first introduced with the 1979 Delta, the glazed rear buttresses (providing better visibility) and, in place of the model badging on the tail, a full width brushed aluminium strip. 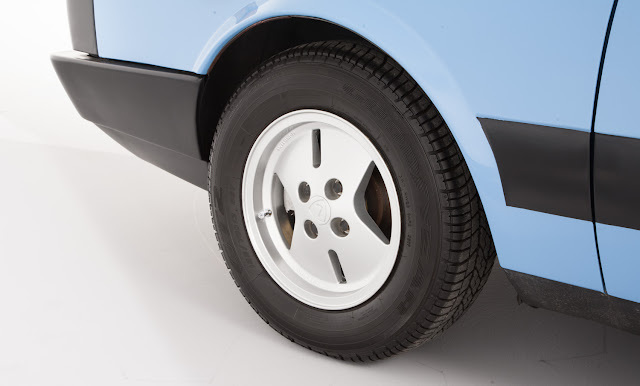 Larger eight-spoke 5,5Jx14" alloy wheels from the Beta were adopted. 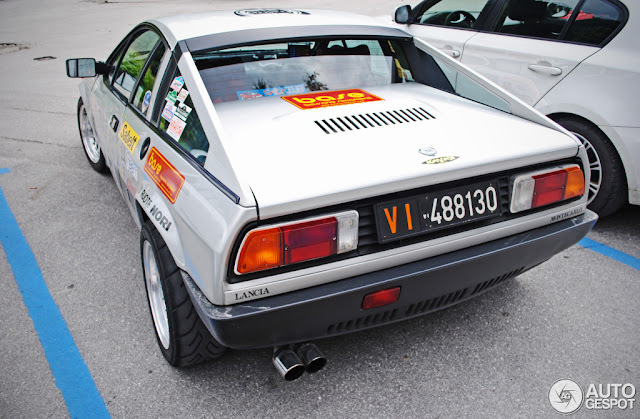 1,940 Series 2 (1,123 Coupés, 817 targas) were built.